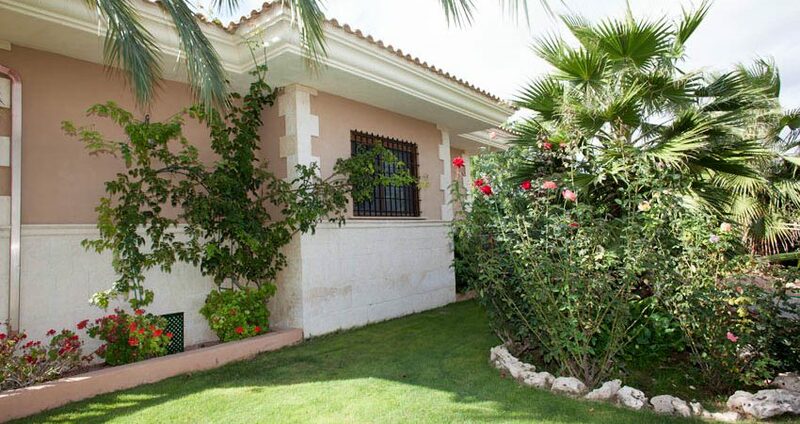 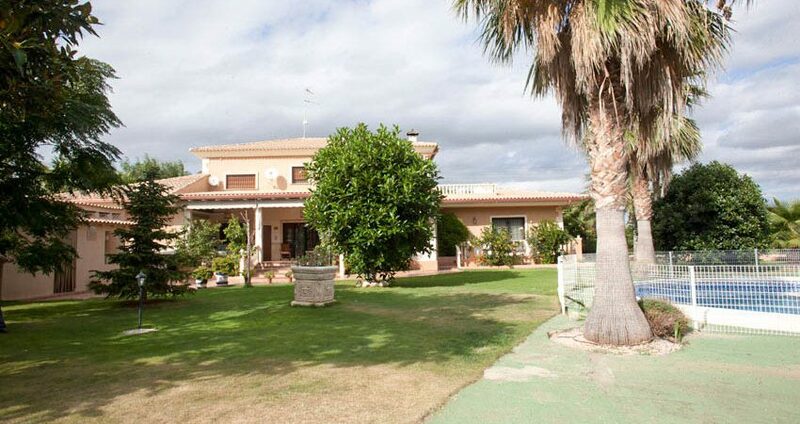 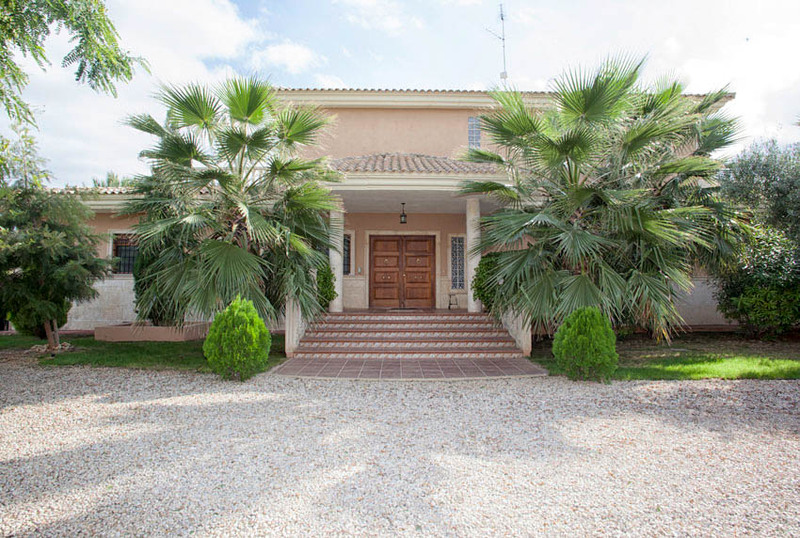 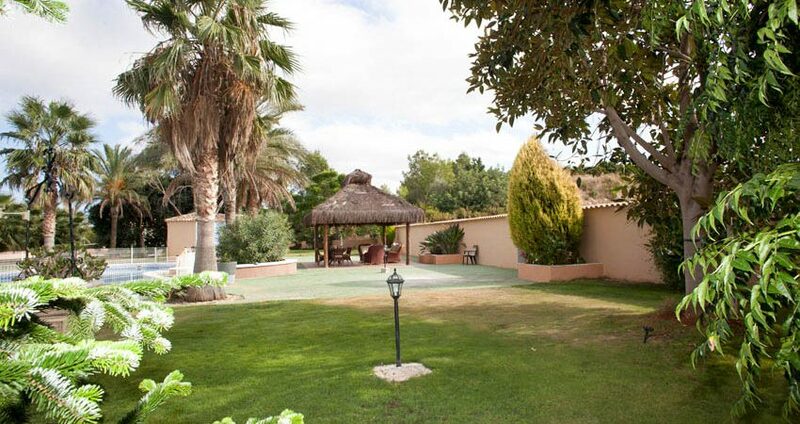 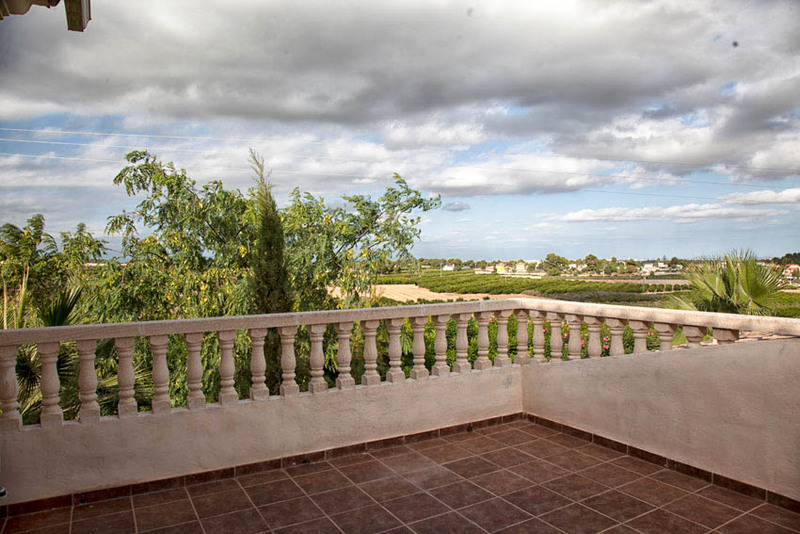 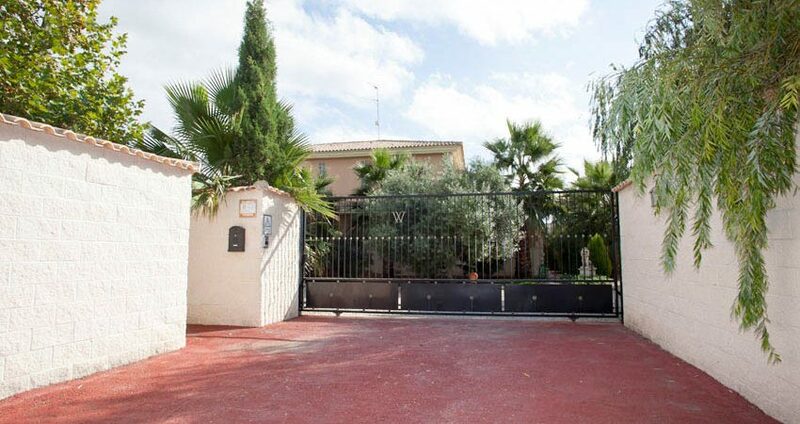 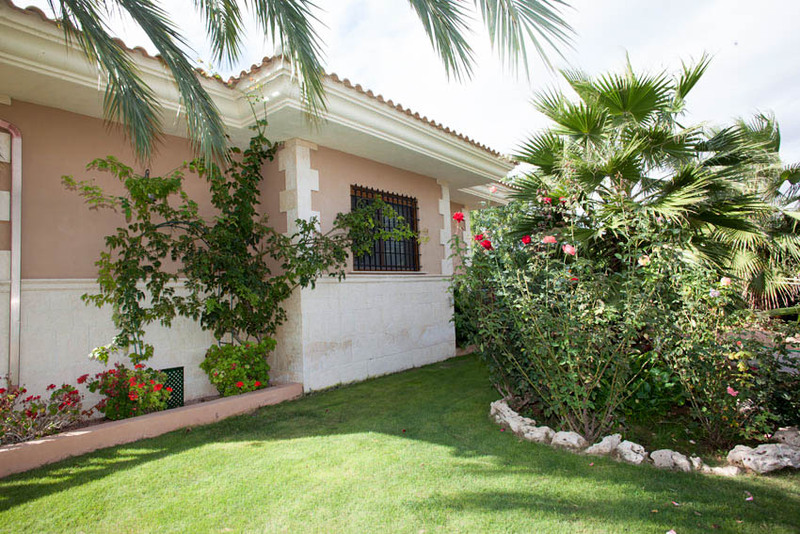 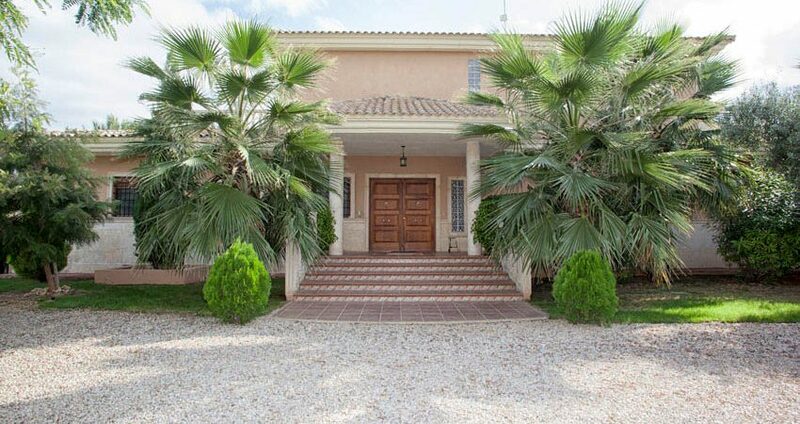 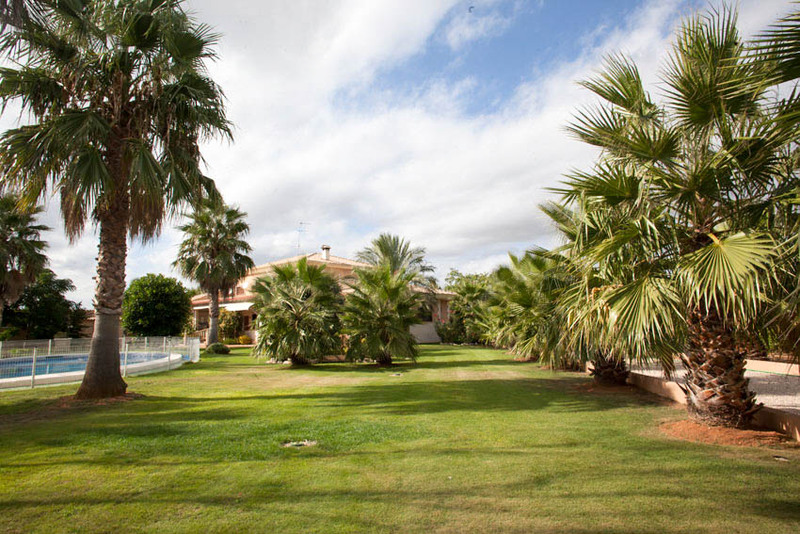 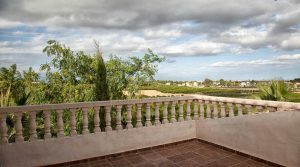 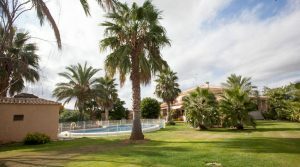 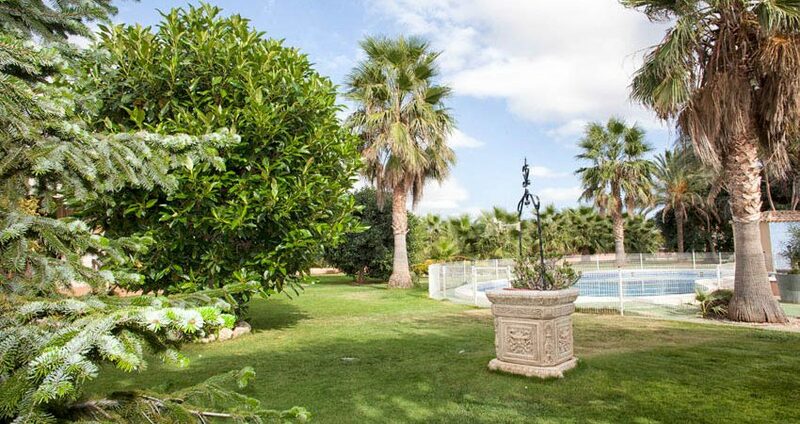 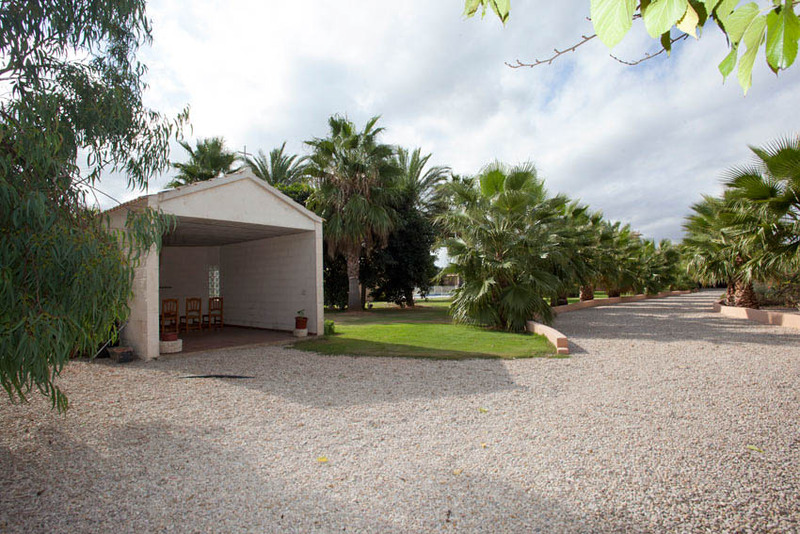 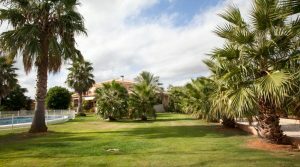 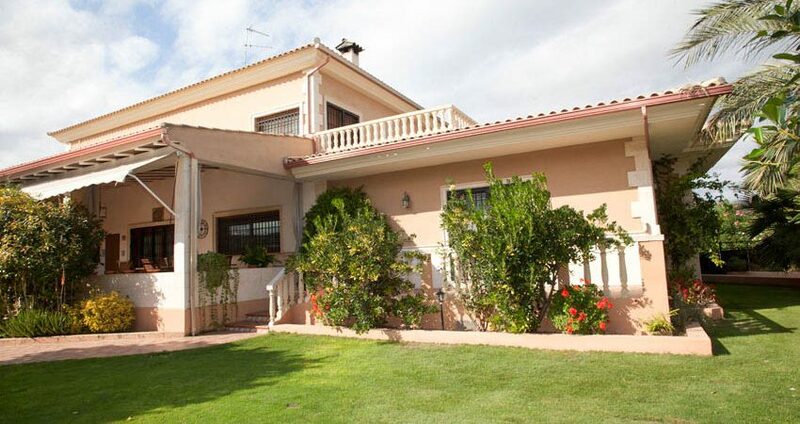 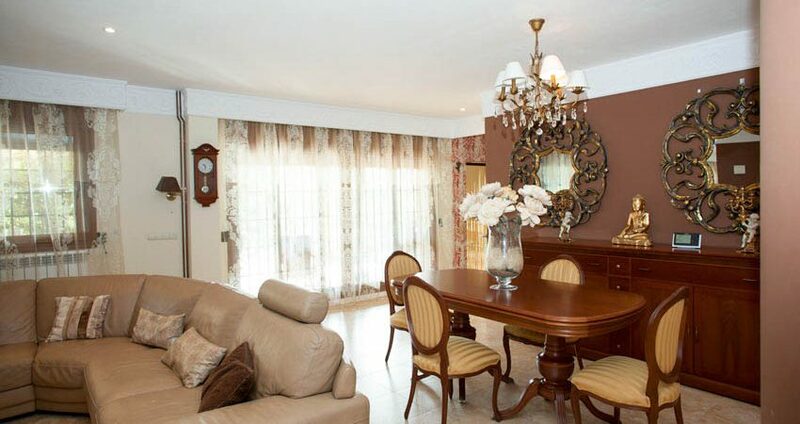 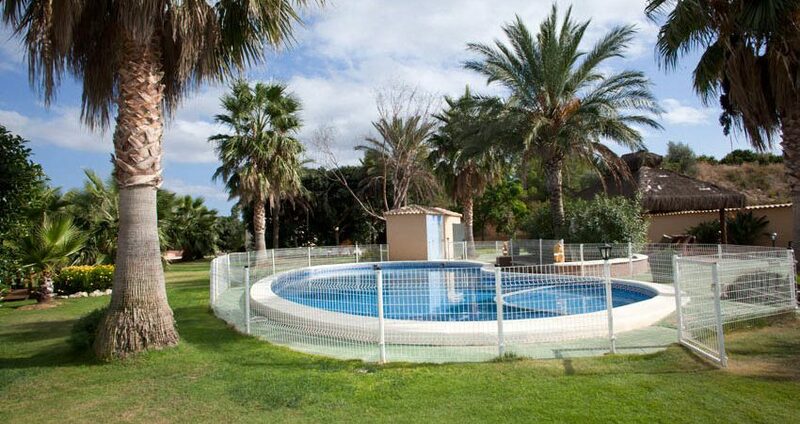 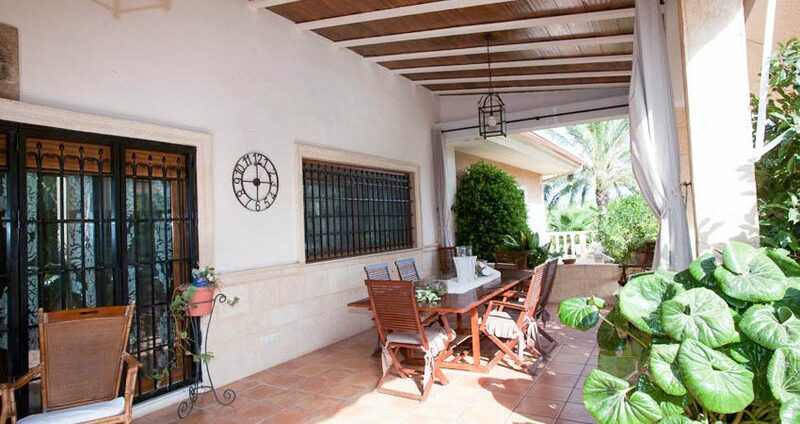 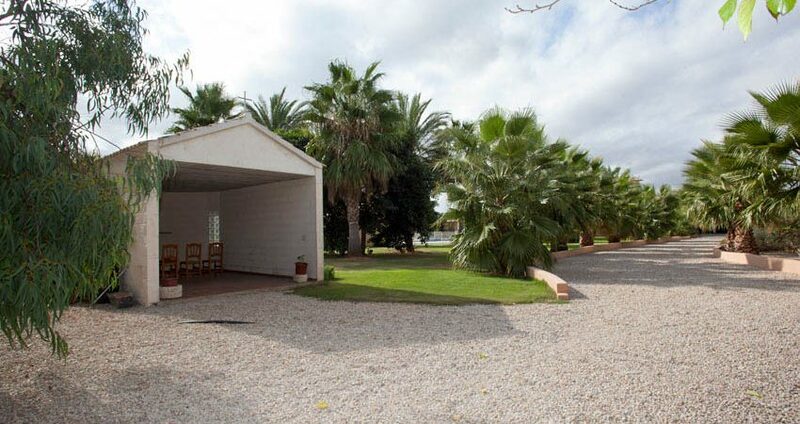 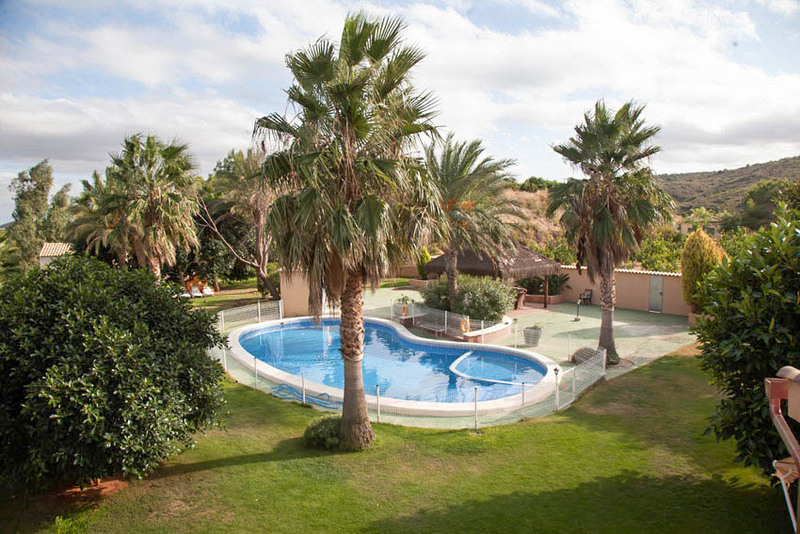 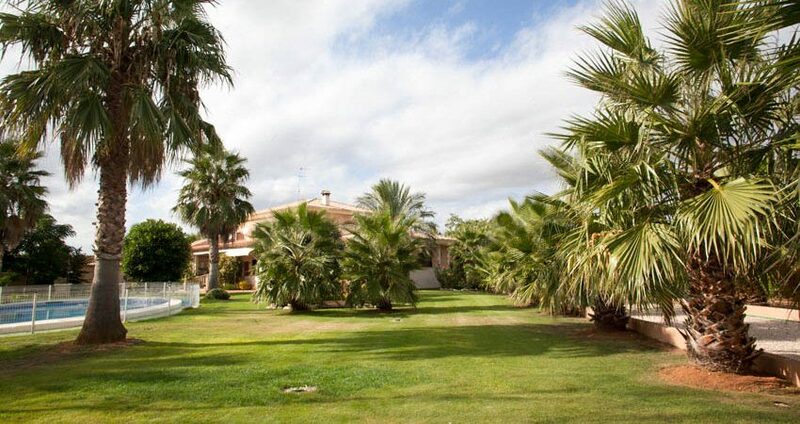 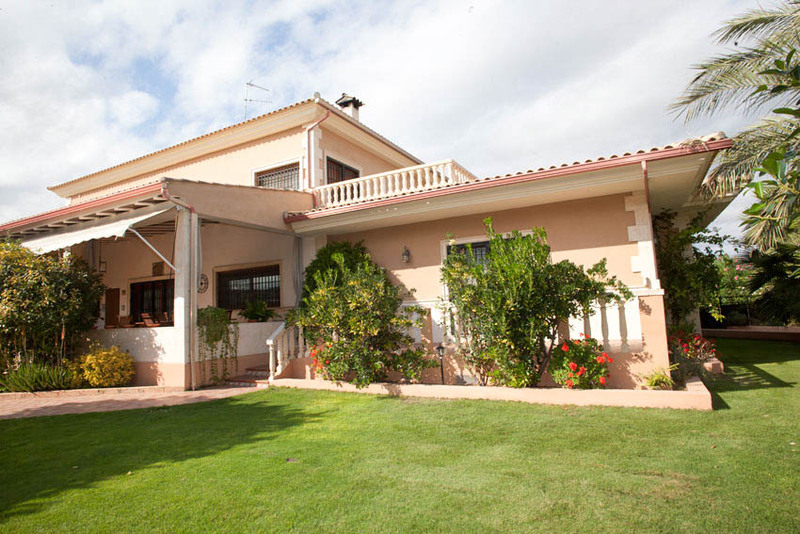 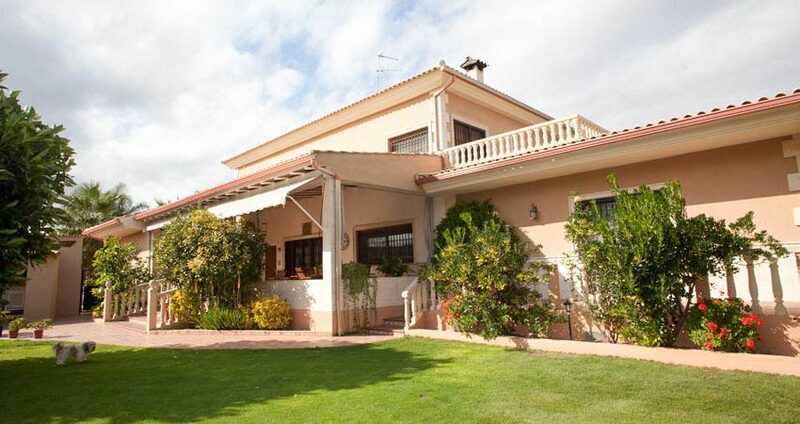 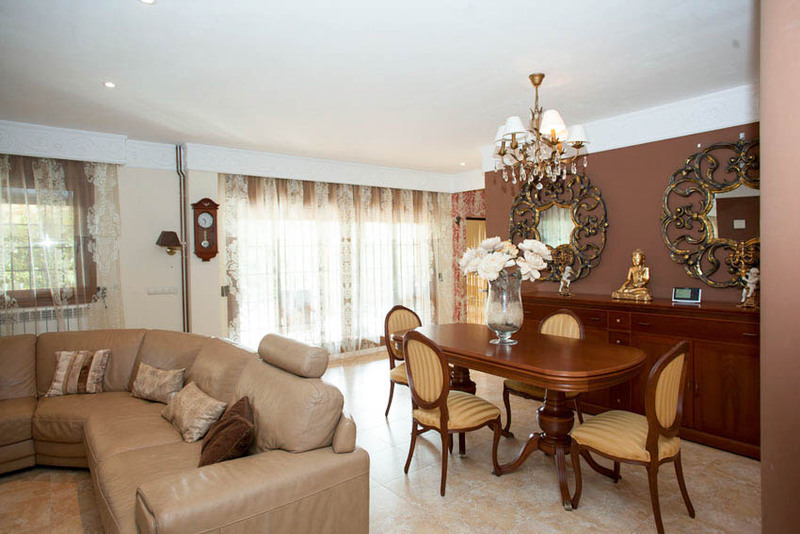 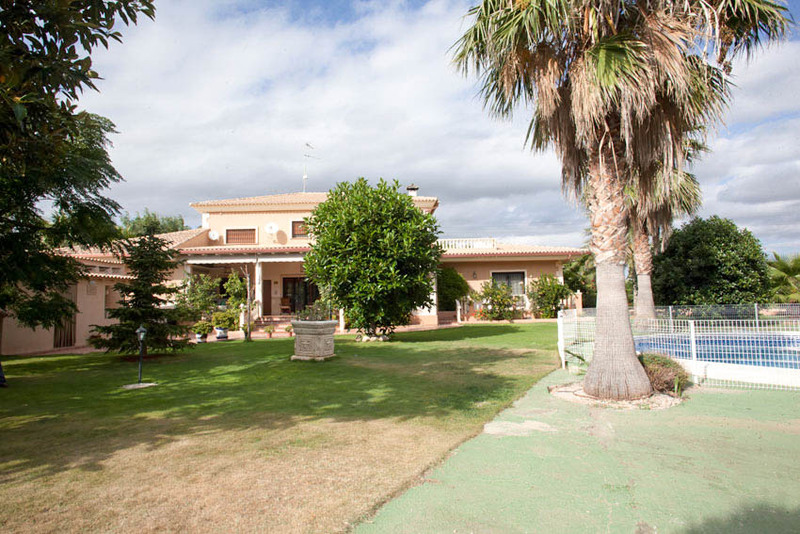 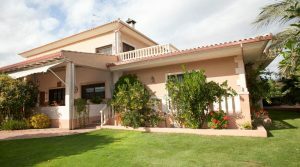 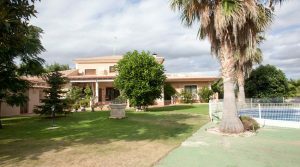 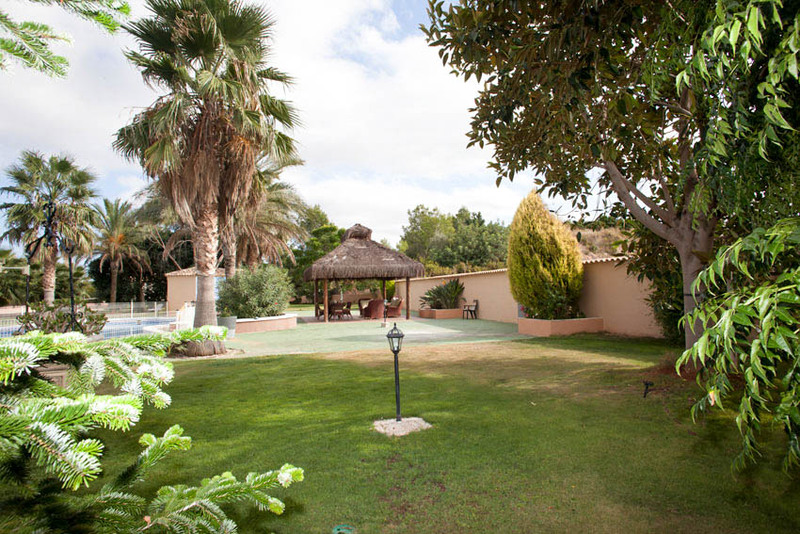 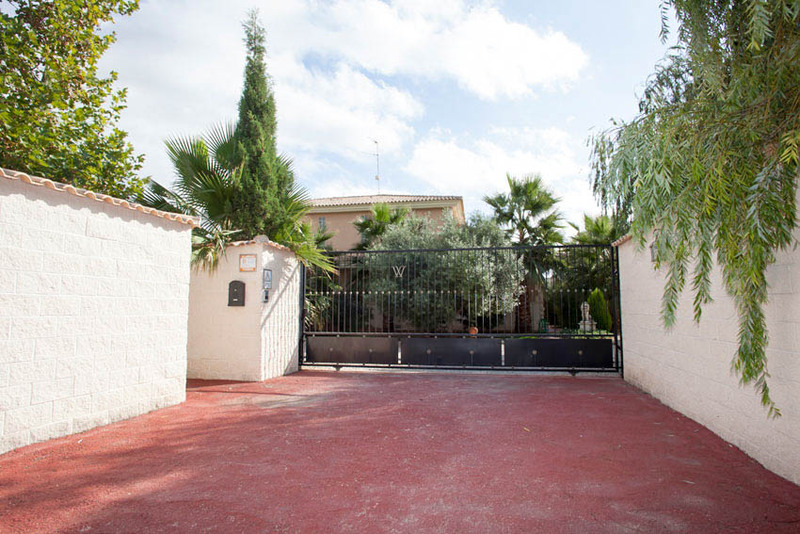 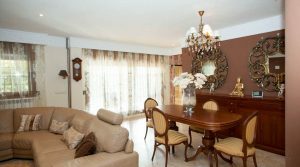 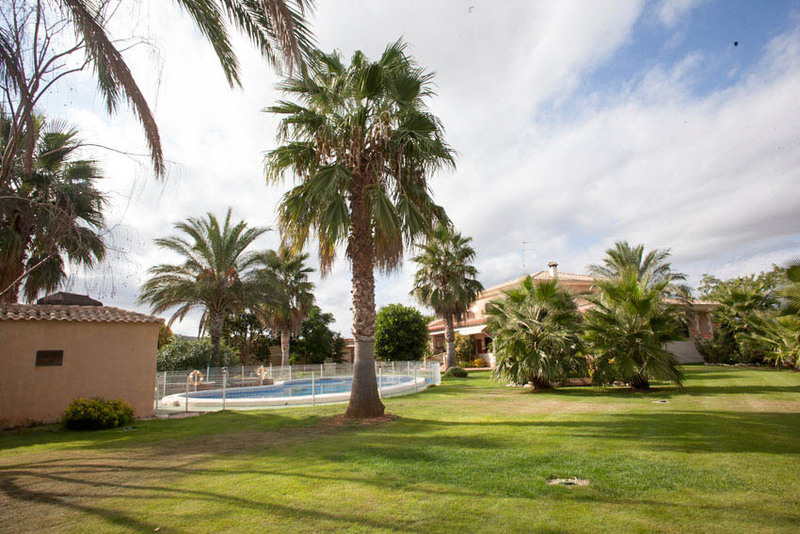 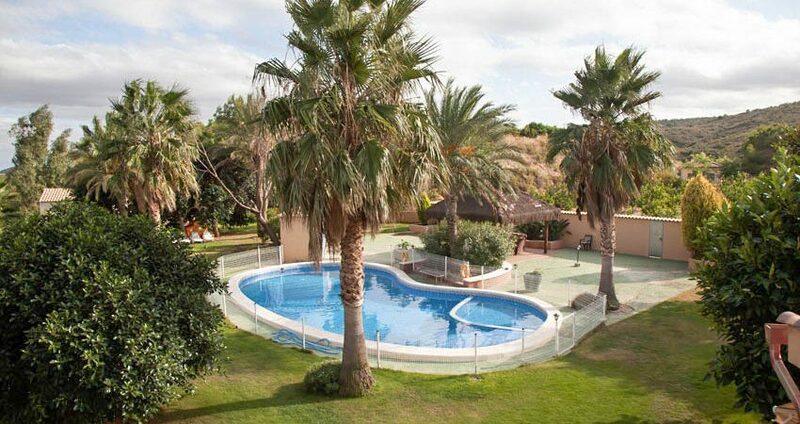 This is an impressive property for sale in Picassent and one of our luxury villas Valencia. 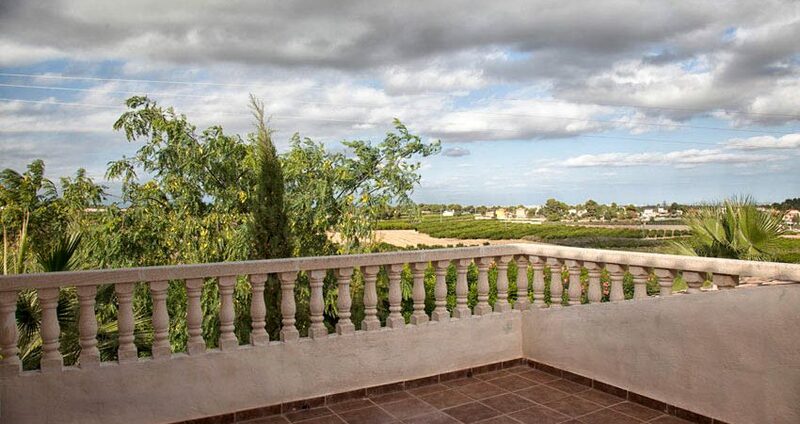 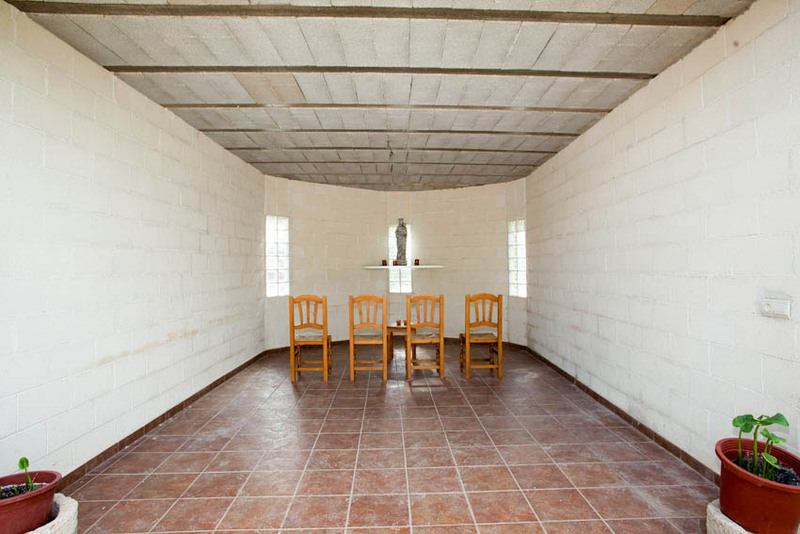 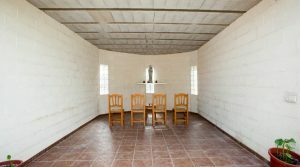 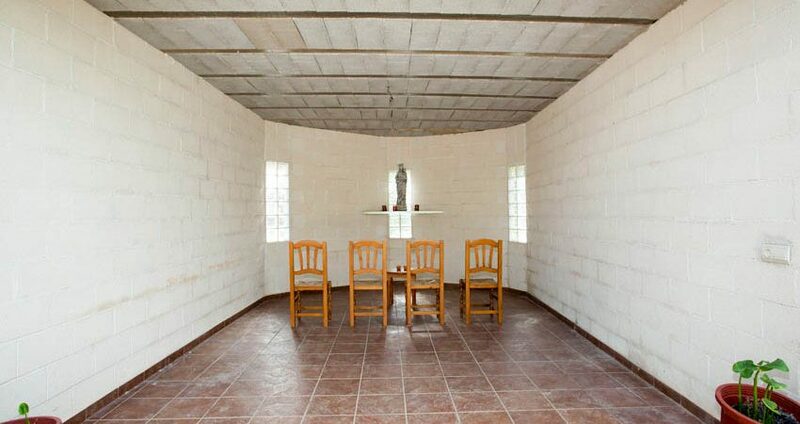 It is situated just outside the Urbanisation Pinar, near the town of Picaassent. 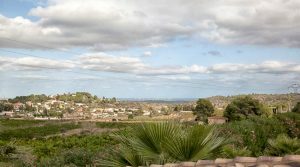 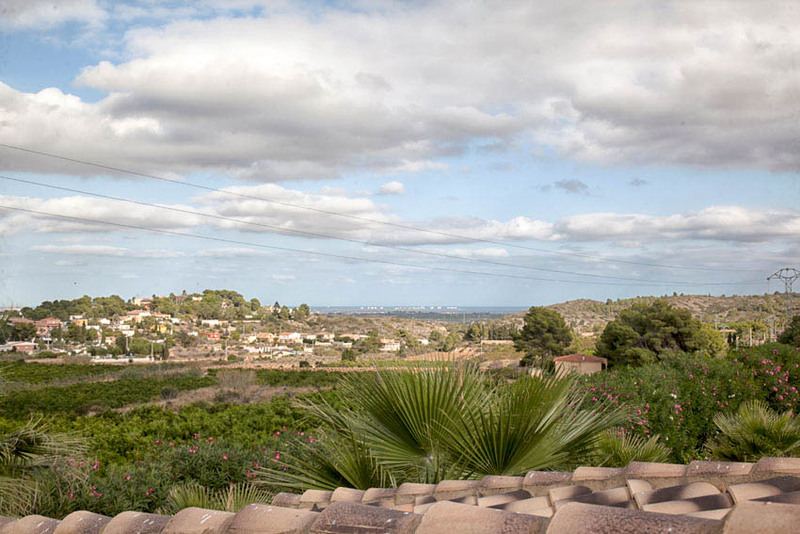 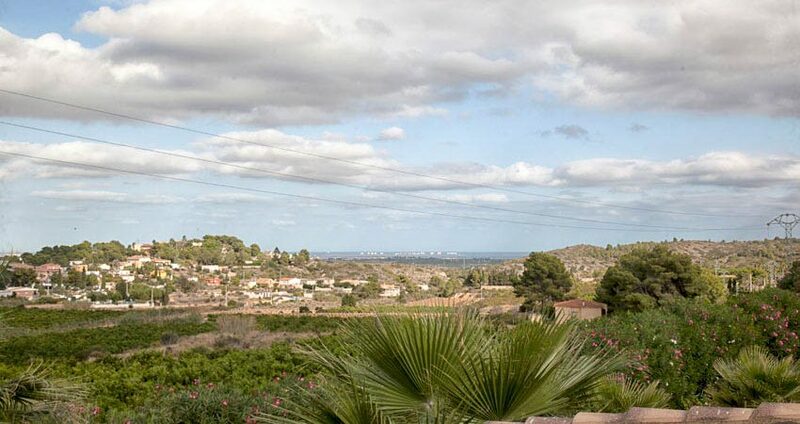 You have lovely views across to Valencia, La Albufera y El Saler. 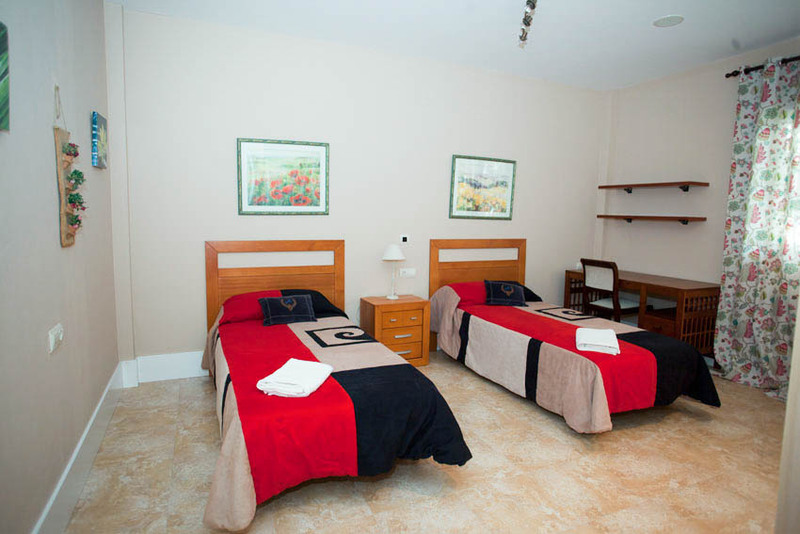 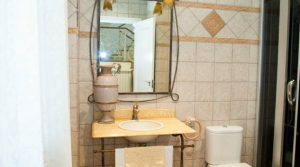 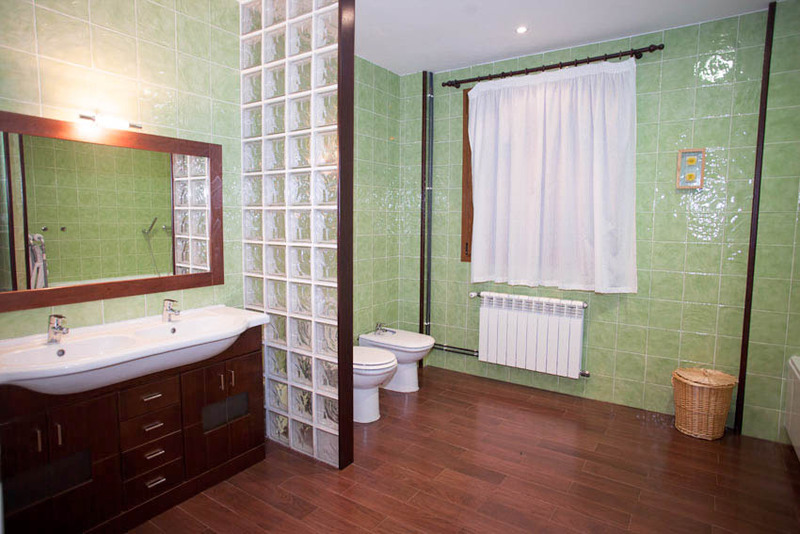 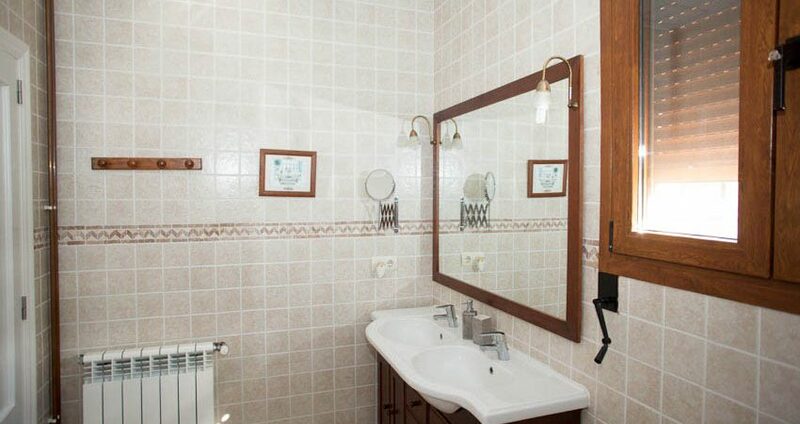 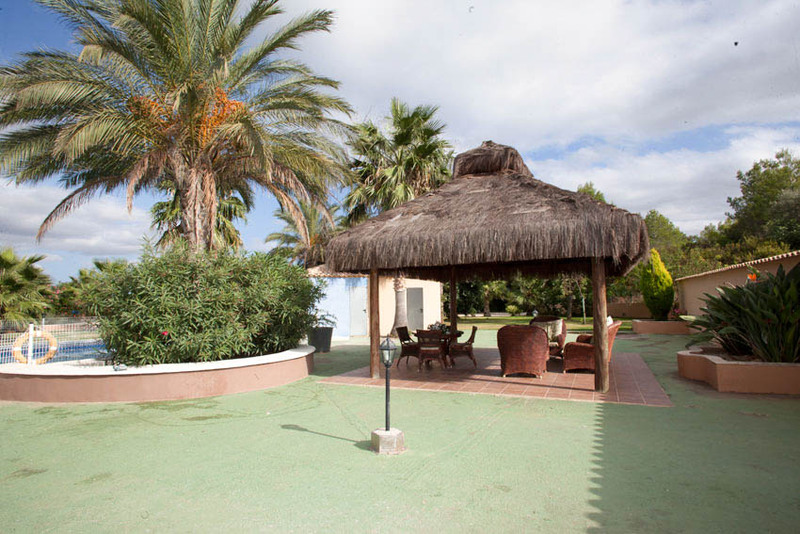 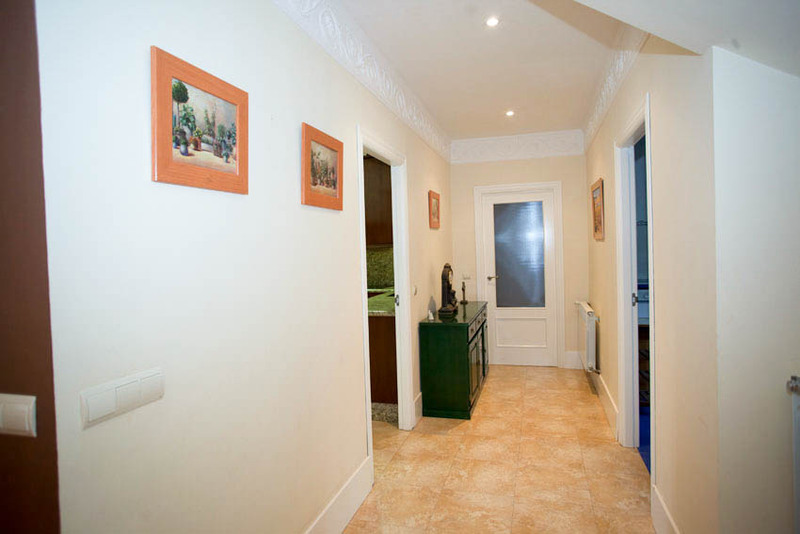 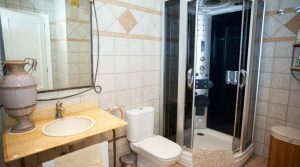 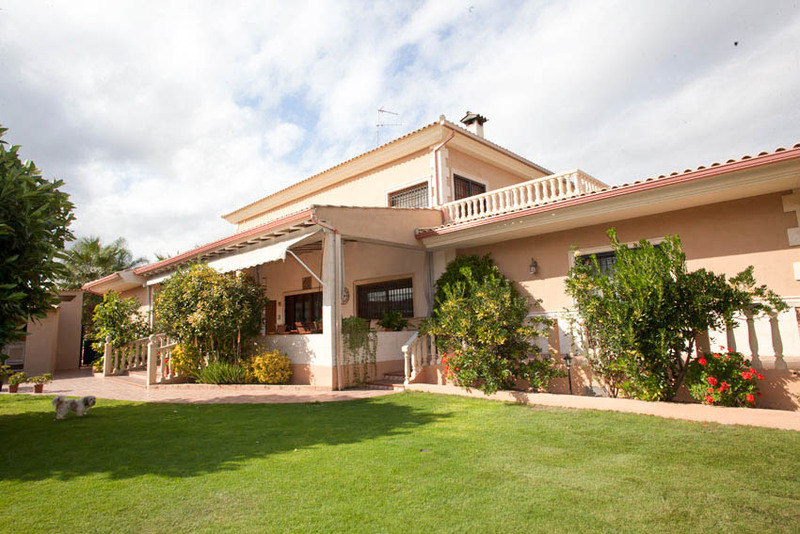 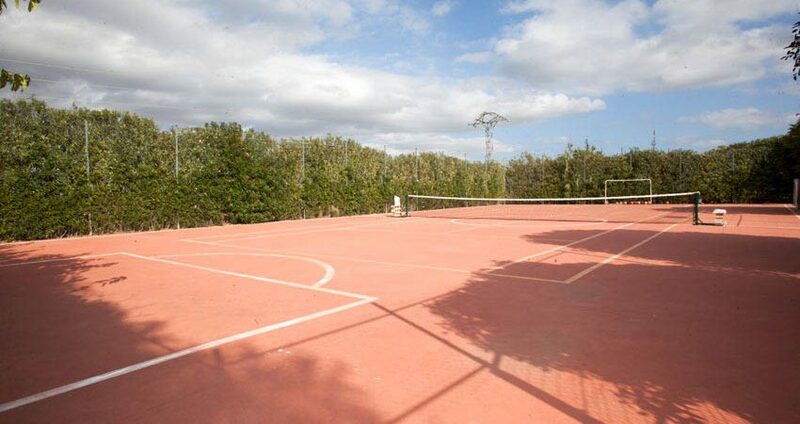 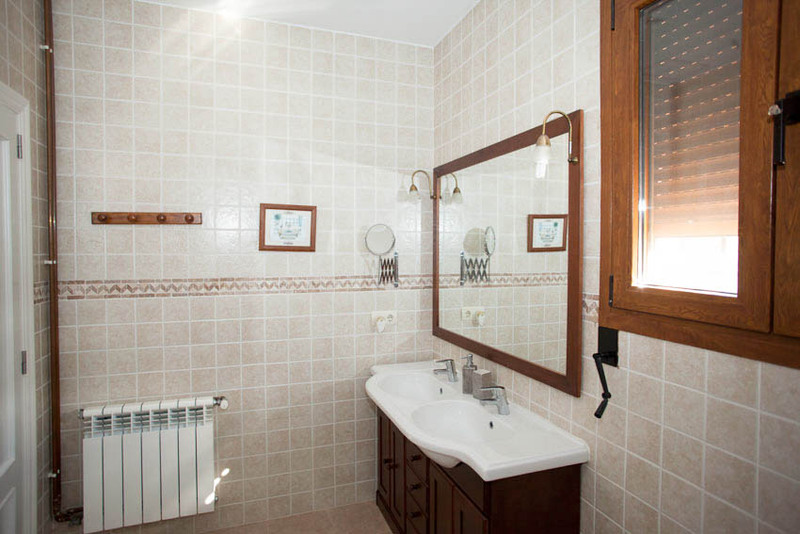 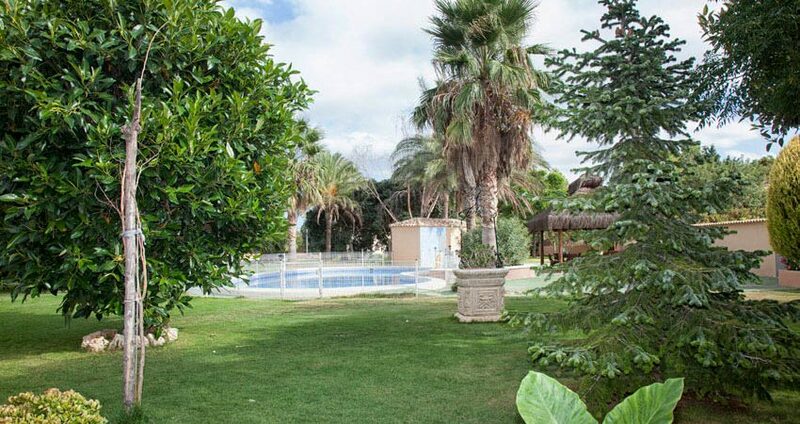 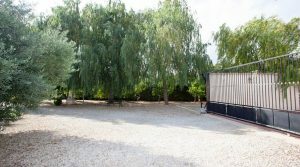 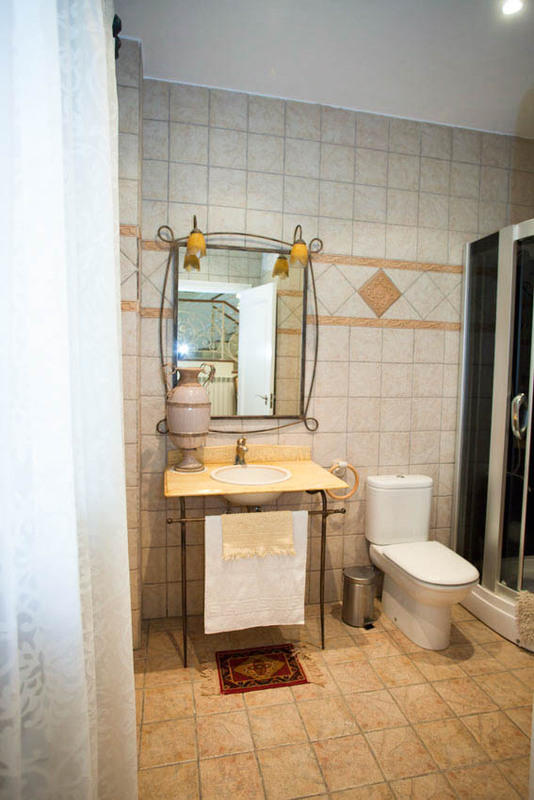 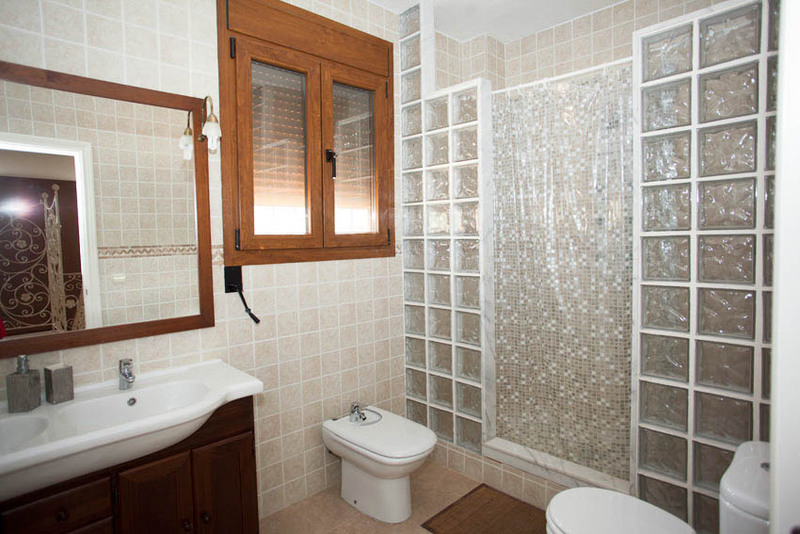 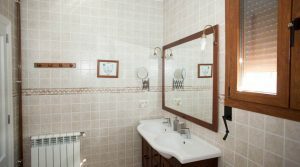 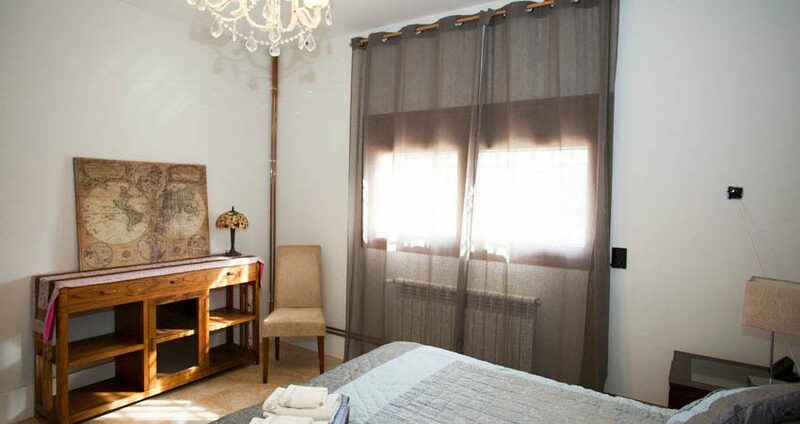 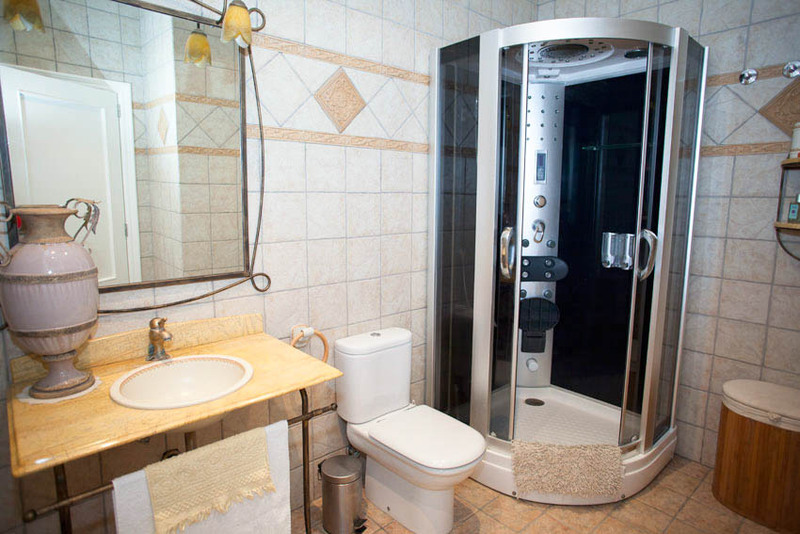 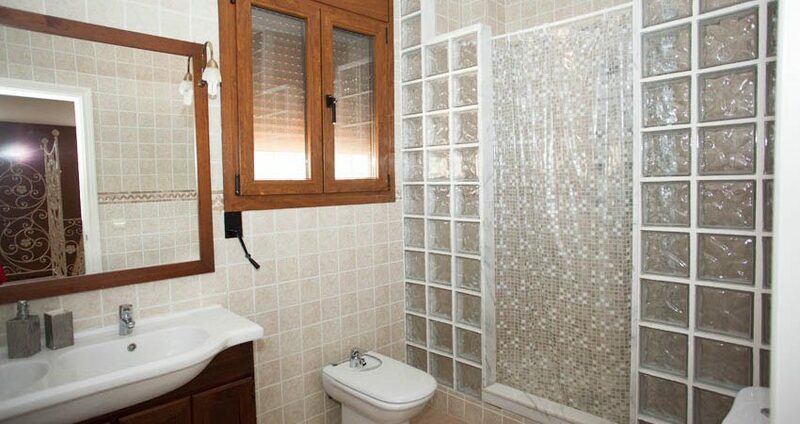 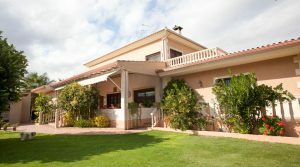 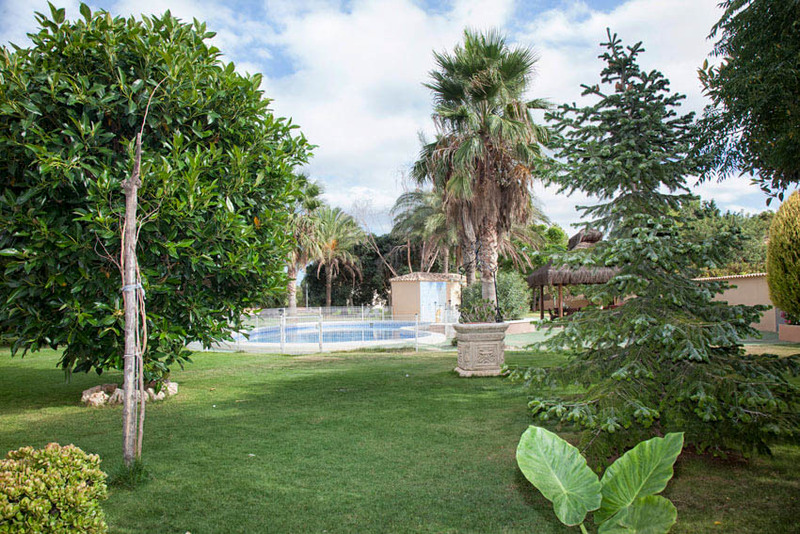 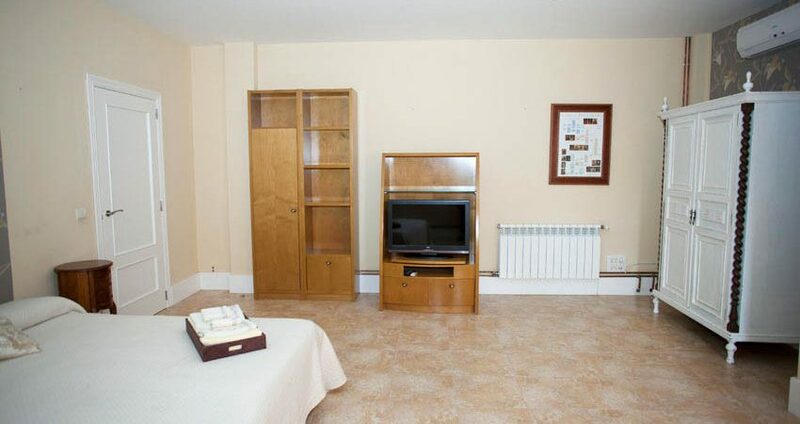 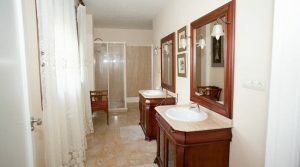 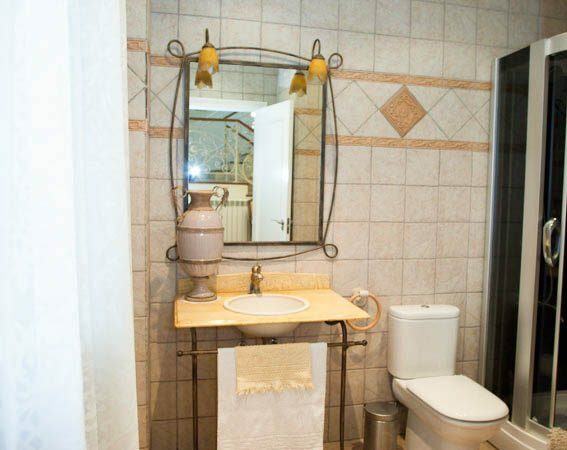 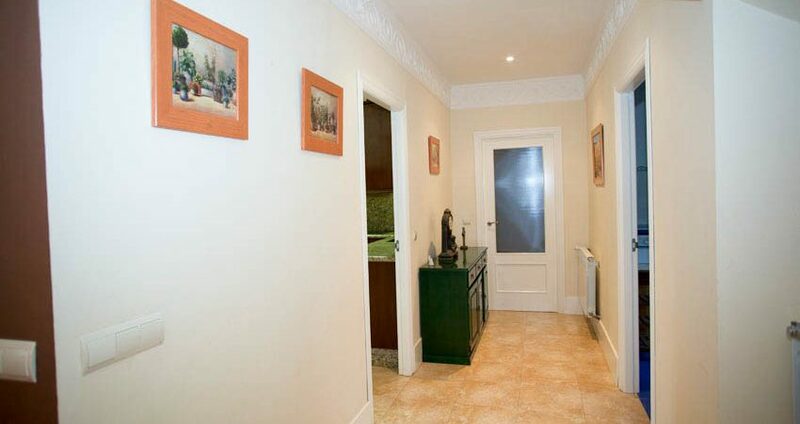 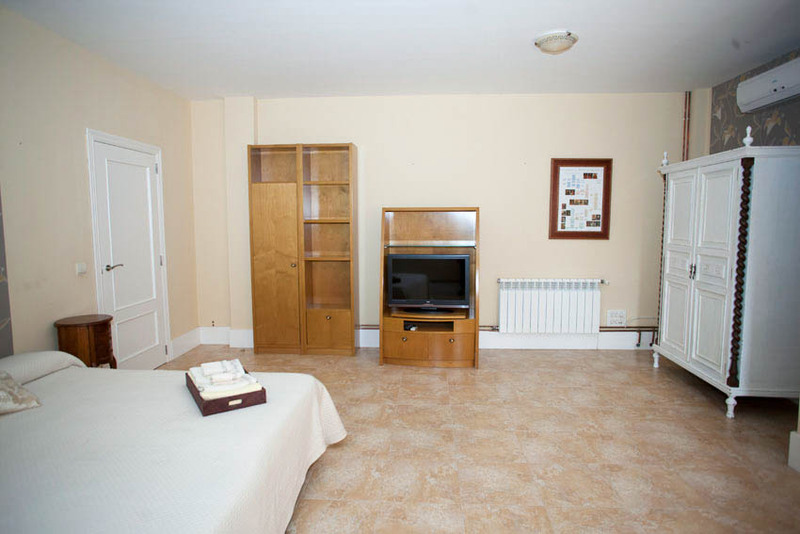 The property is walking distance from the very good bar/restaurant located there, together with sports facilities. 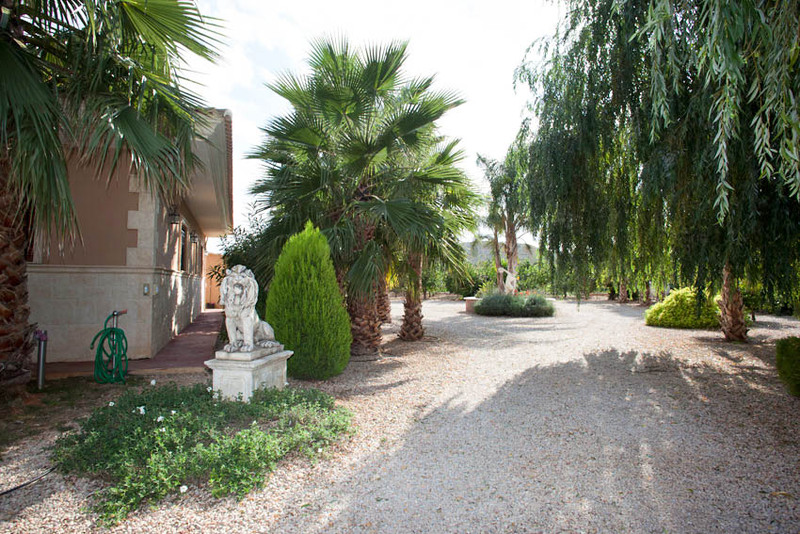 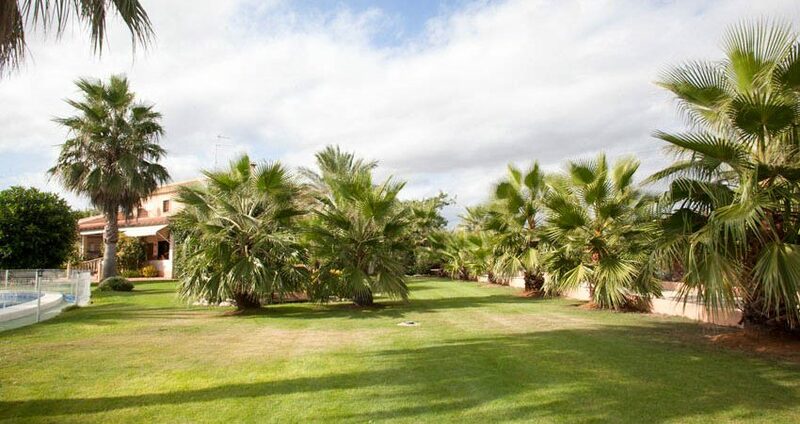 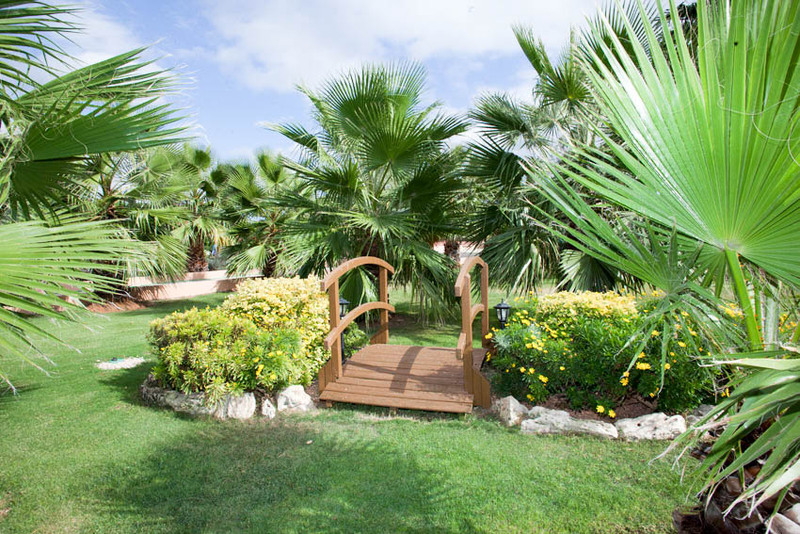 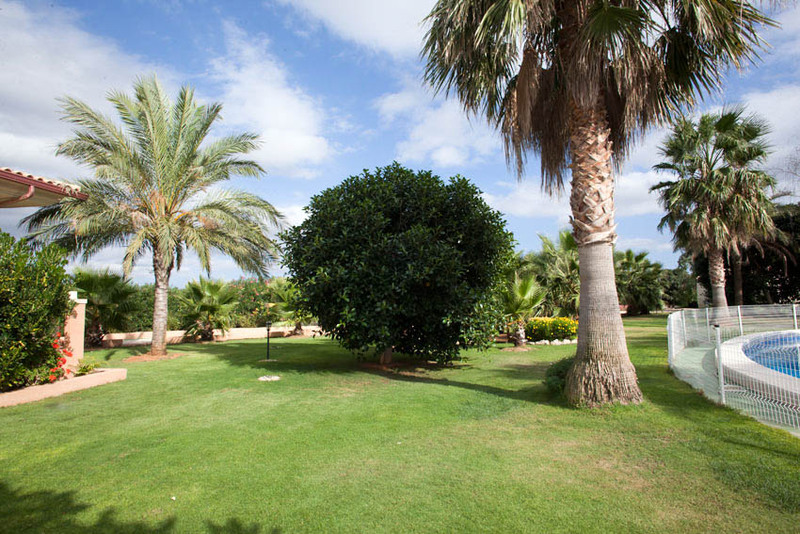 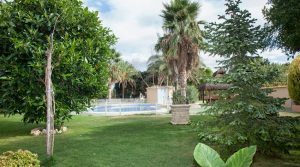 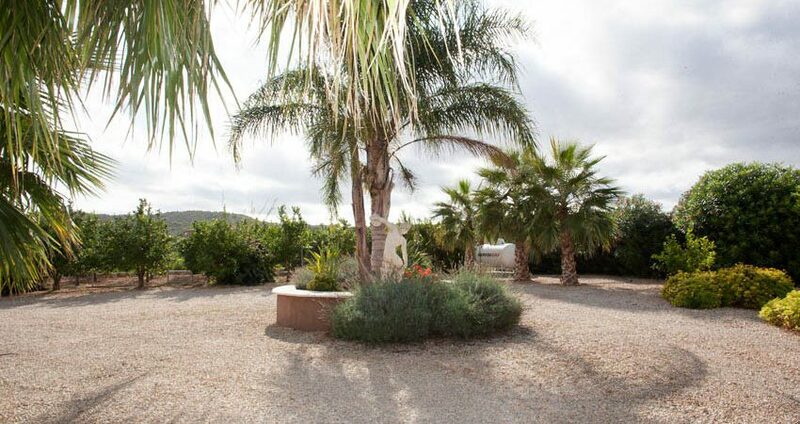 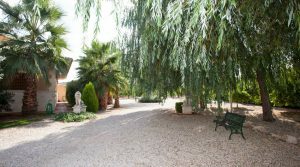 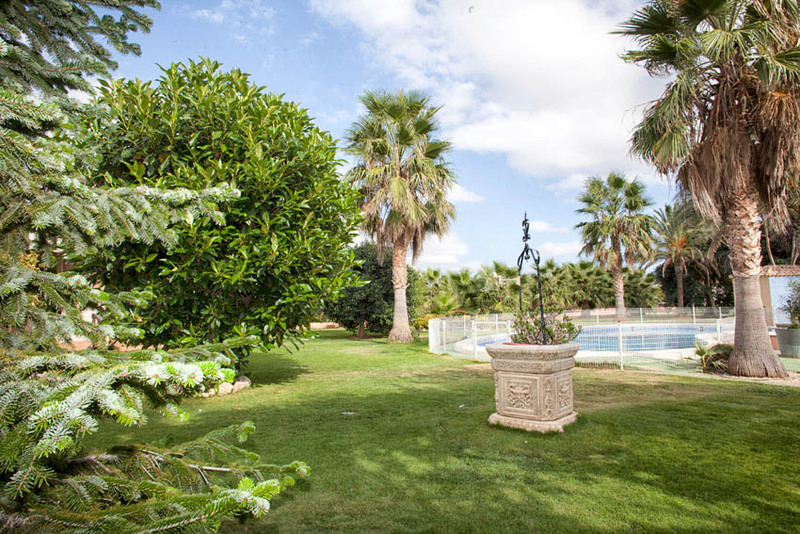 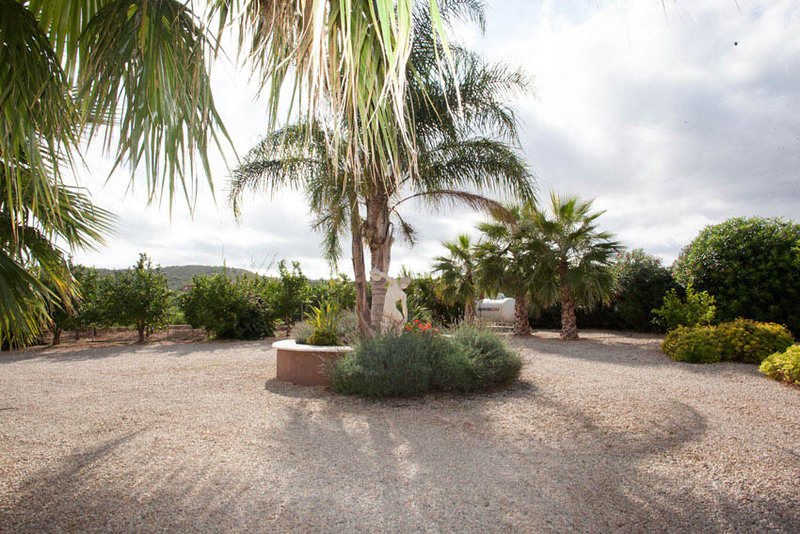 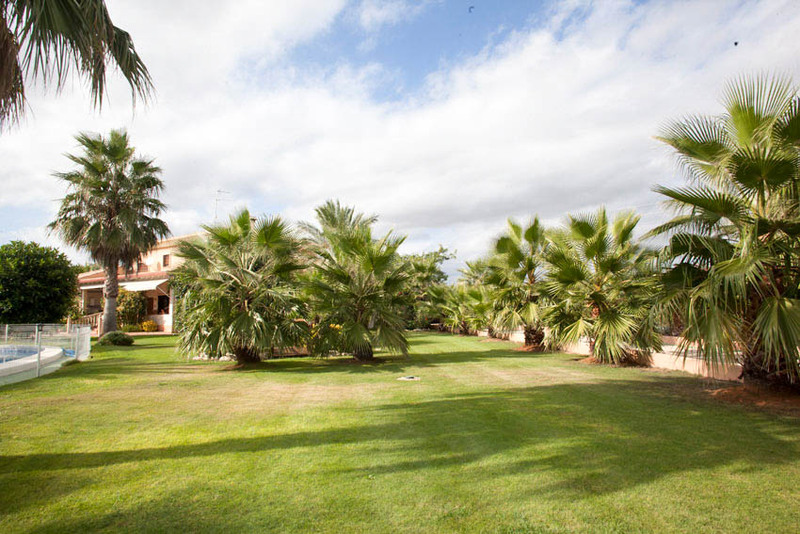 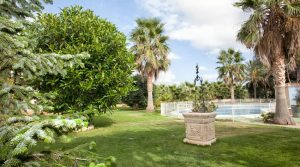 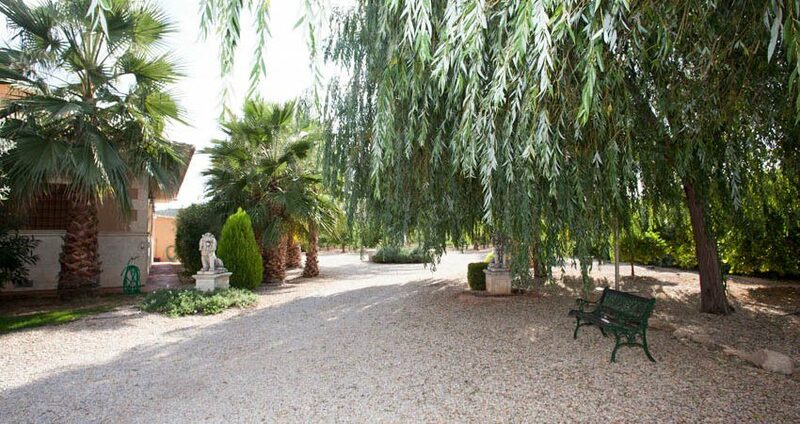 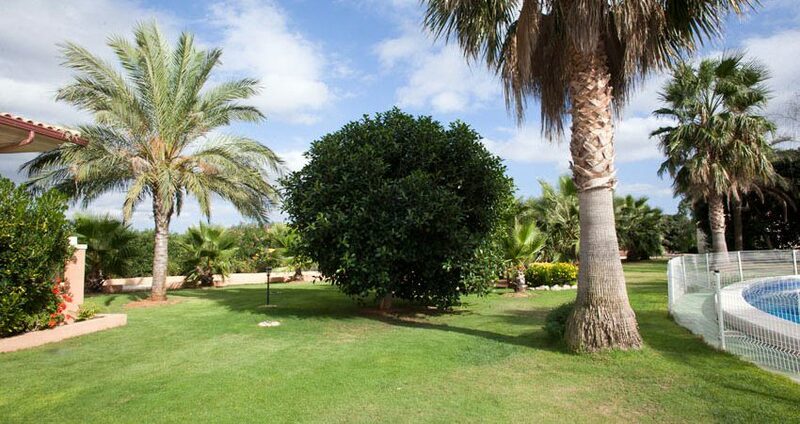 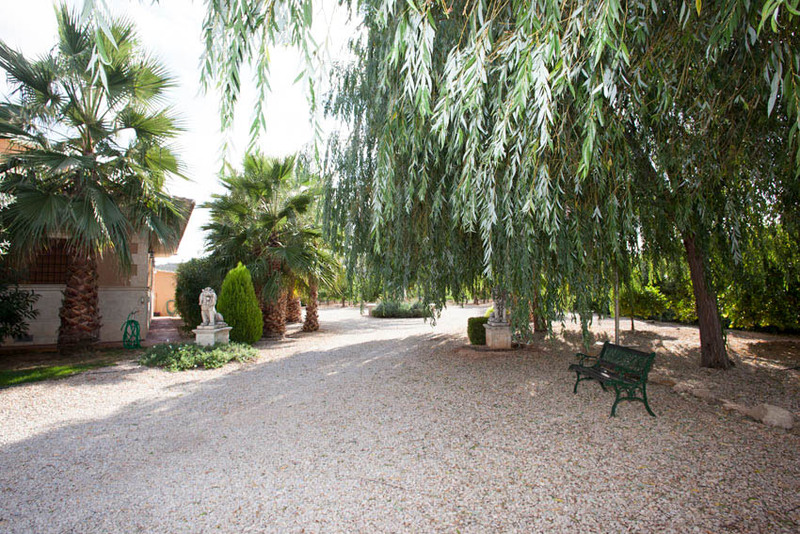 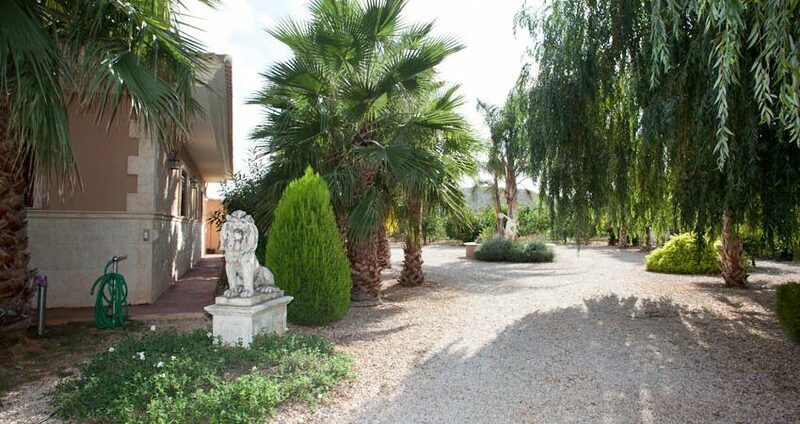 You enter the property’s fully fenced grounds through large gates which open to a wide driveway bordered by grand palm trees and a fountain with a turning circle driveway. 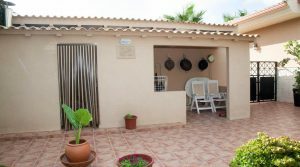 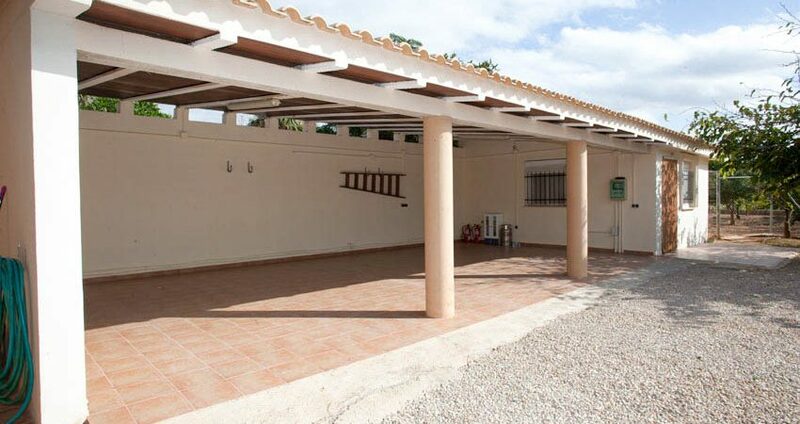 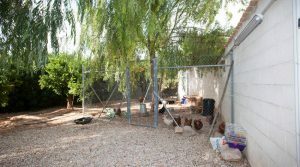 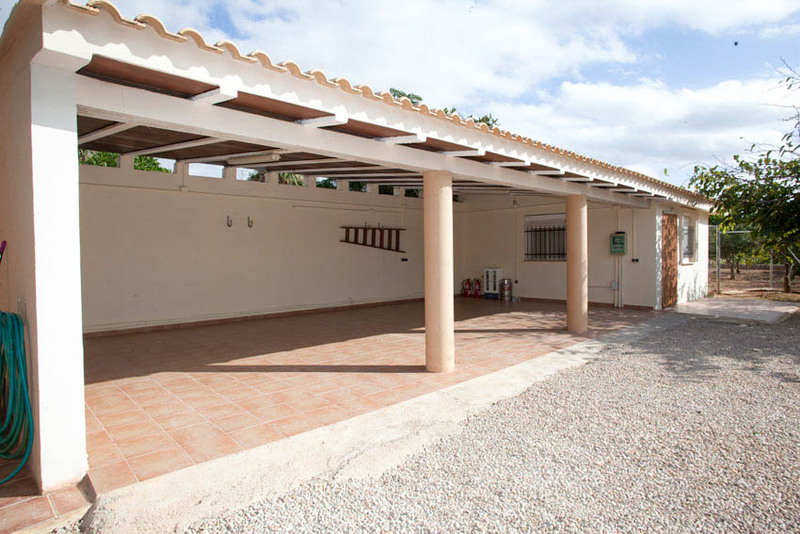 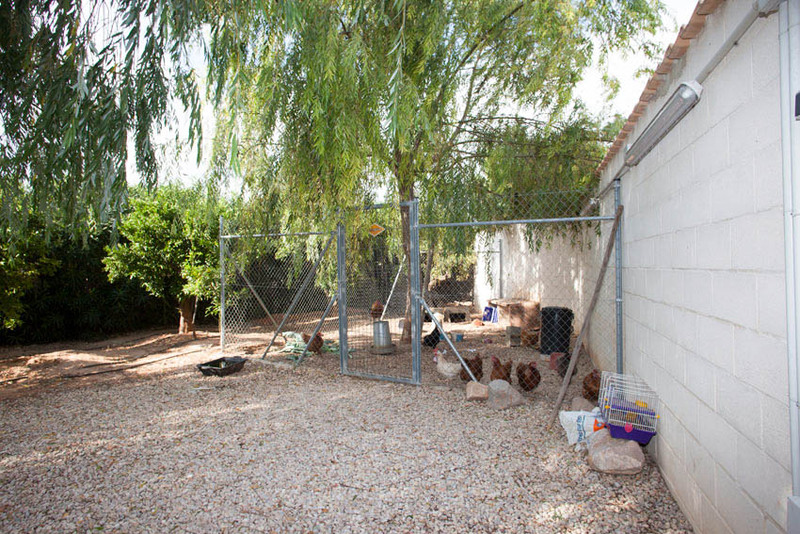 There is a tiled floor carport with space for three cars and a gatehouse, apartment room next to this large carport. 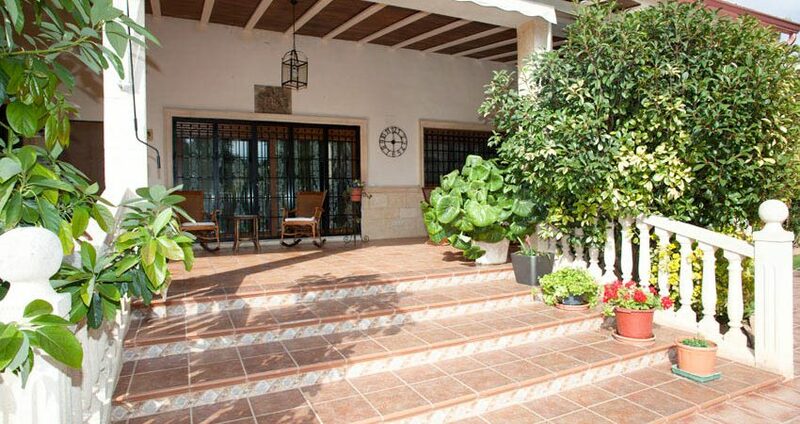 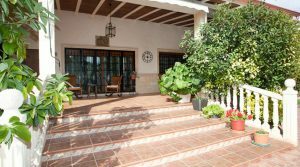 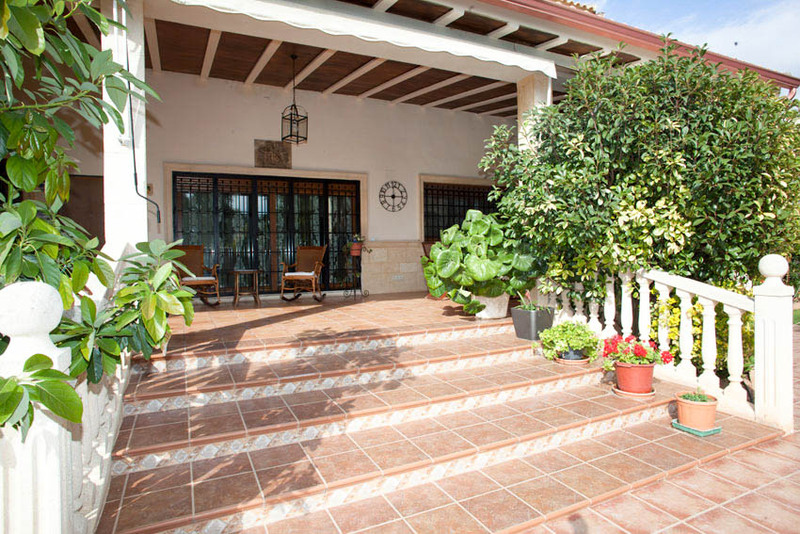 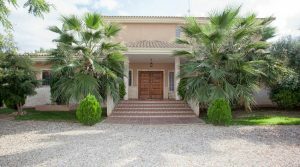 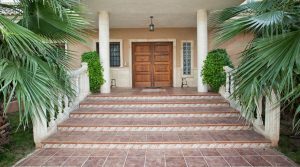 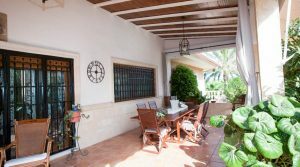 At the front of this beautifully built large villa, you have a porch entrance into a reception area. 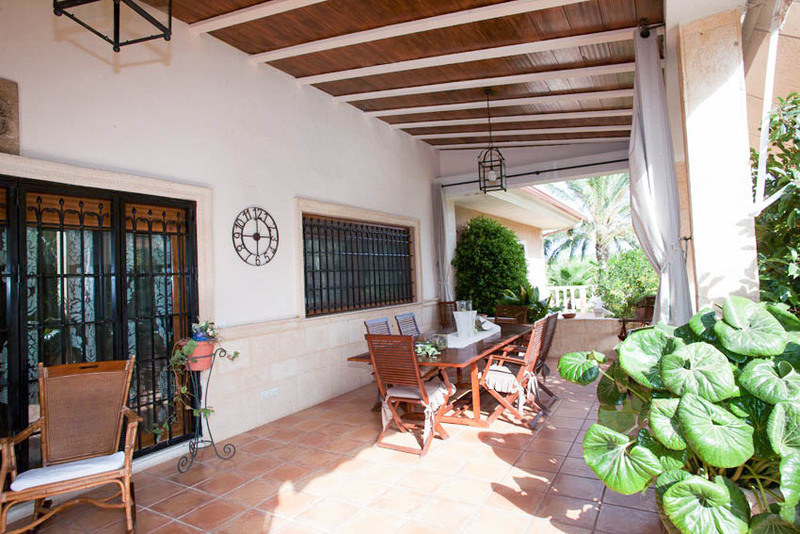 This distributes through to the spacious lounge/dining room complete with patio doors taking you out to the wide covered terrace that runs along the length of the rear of the villa. 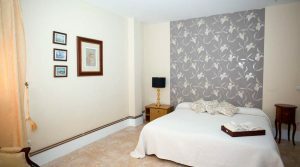 In the lounge, you have a chimney fireplace and there are gas central heating radiators throughout the entire property. Adjacent to the lounge area you flow through to the high-quality kitchen/diner, complete with thick granite work surface and all modern electro-domestic appliances. 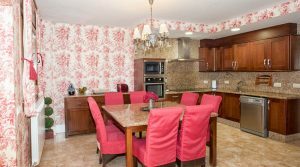 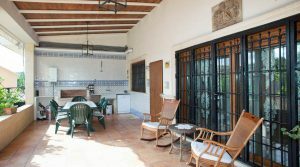 The kitchen also has patio door opening out to the rear covered terrace where you have a brick built barbecue all overlooking the beautifully manicured and landscaped gardens. 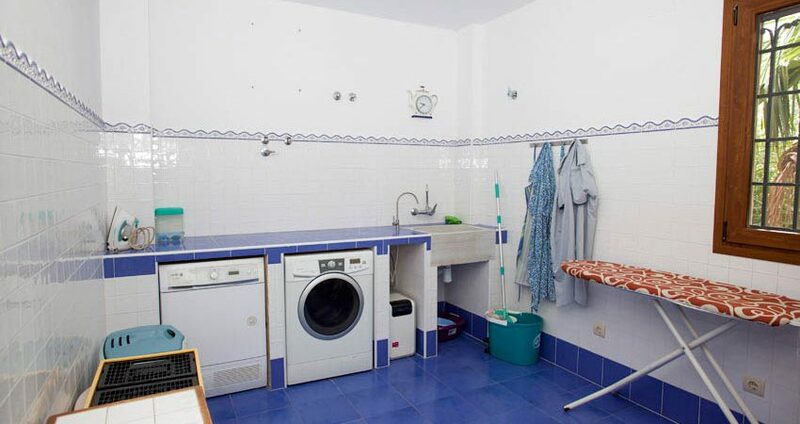 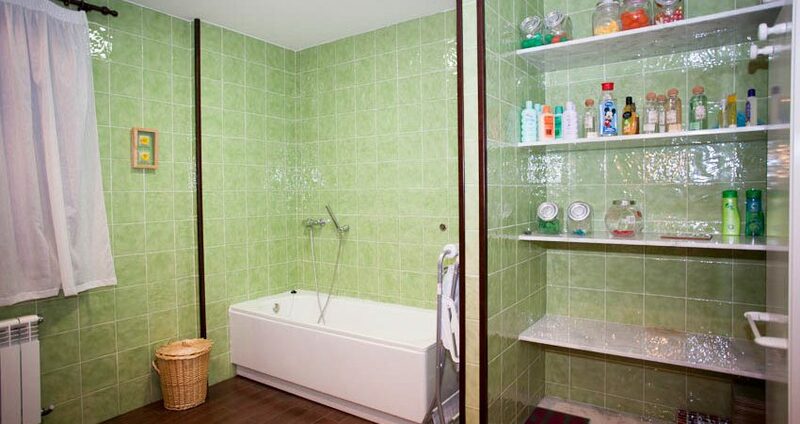 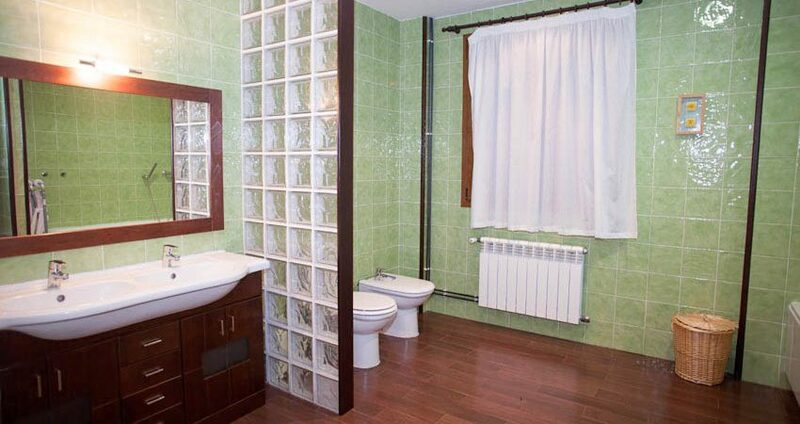 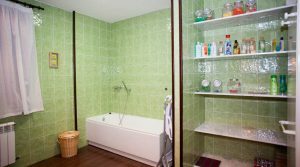 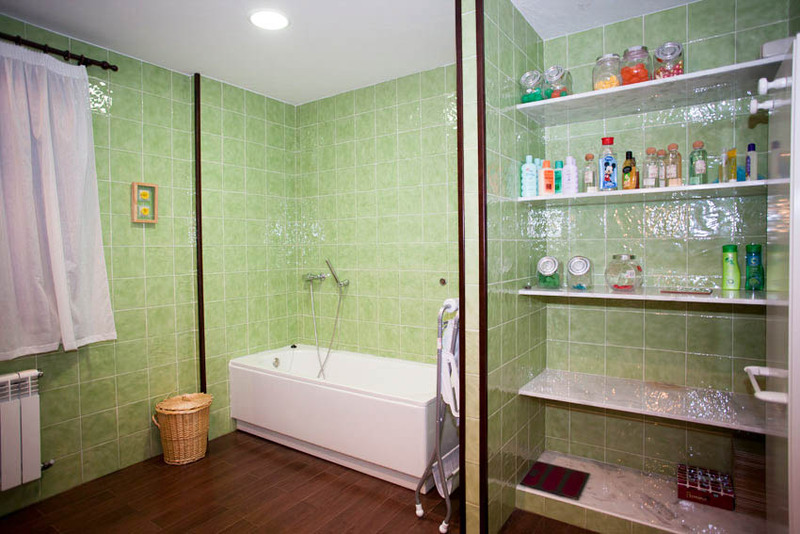 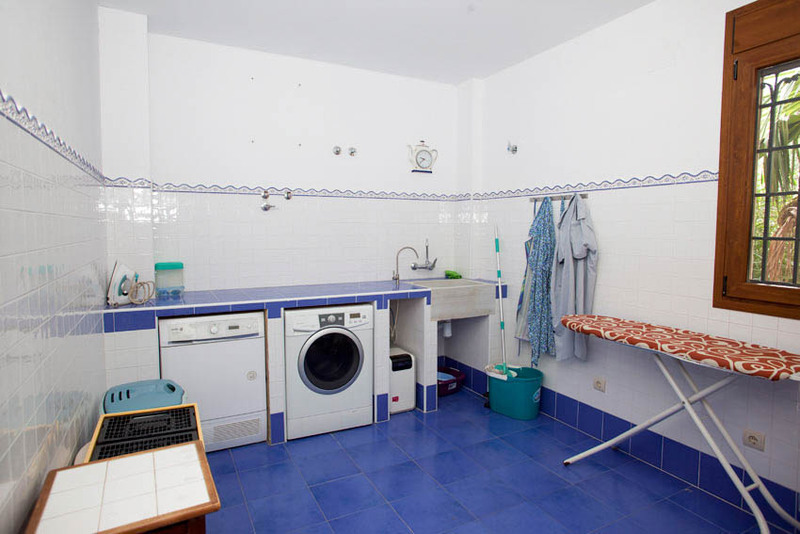 Next to the kitchen, there is a separate utility room which is also a good size. 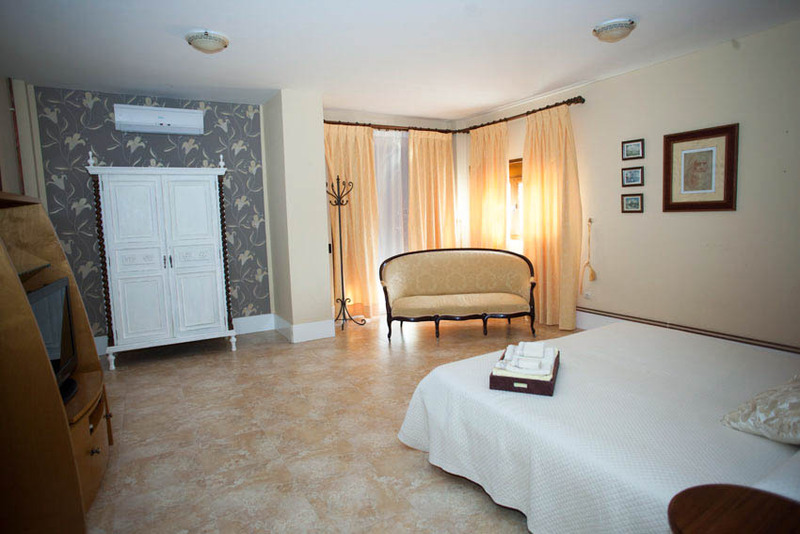 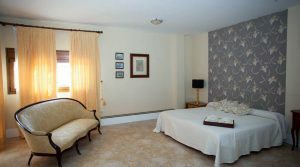 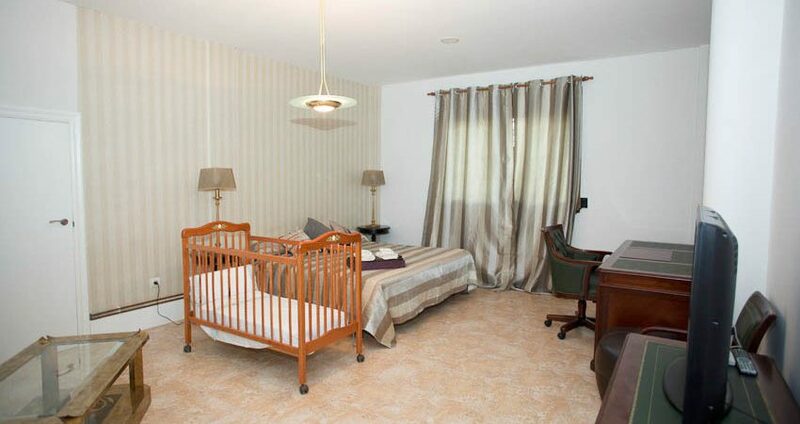 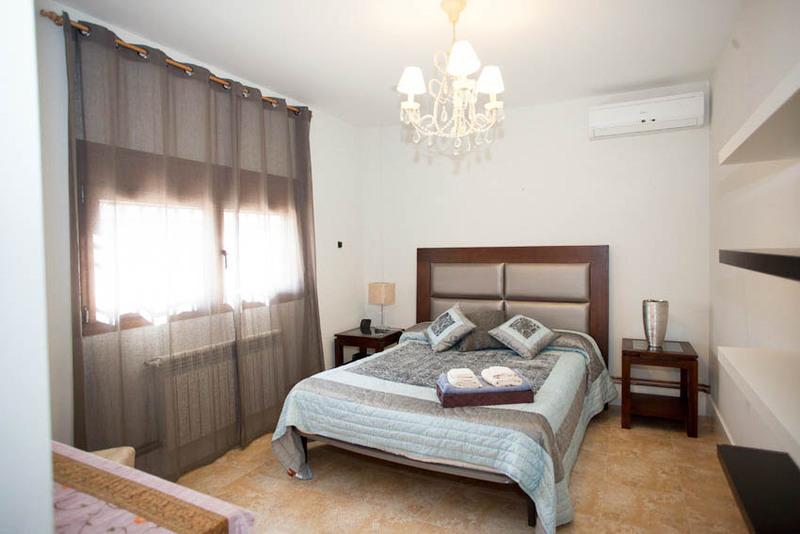 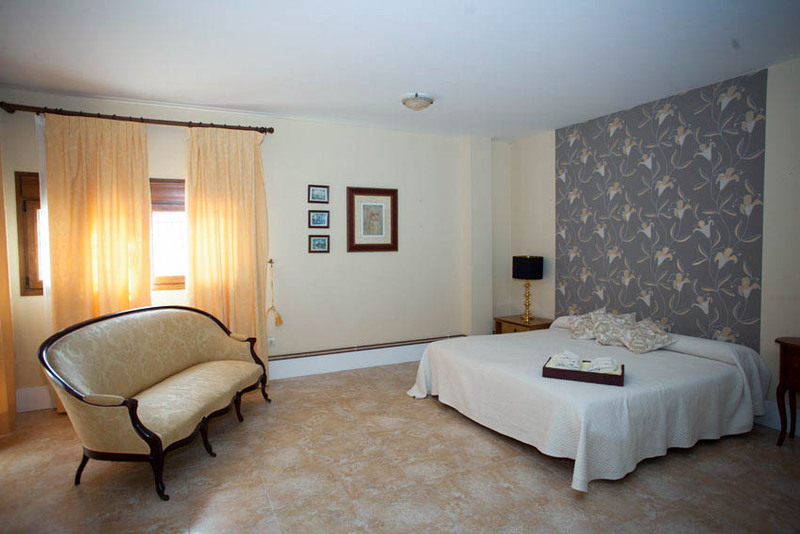 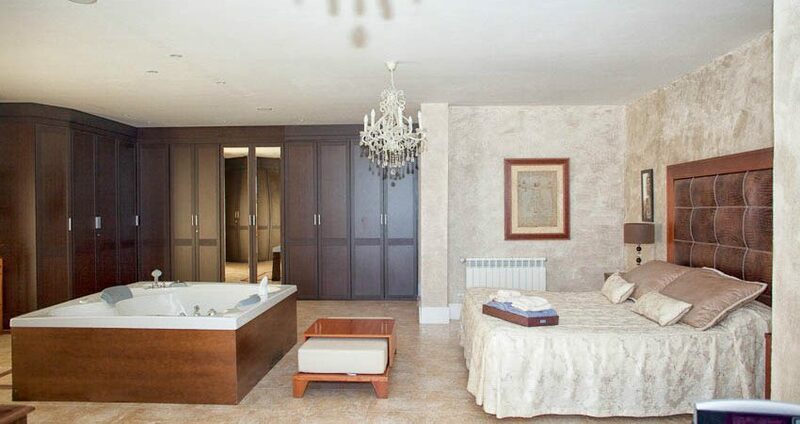 On the other side of this villa on the ground floor, you have the master bedroom, which is enormous. 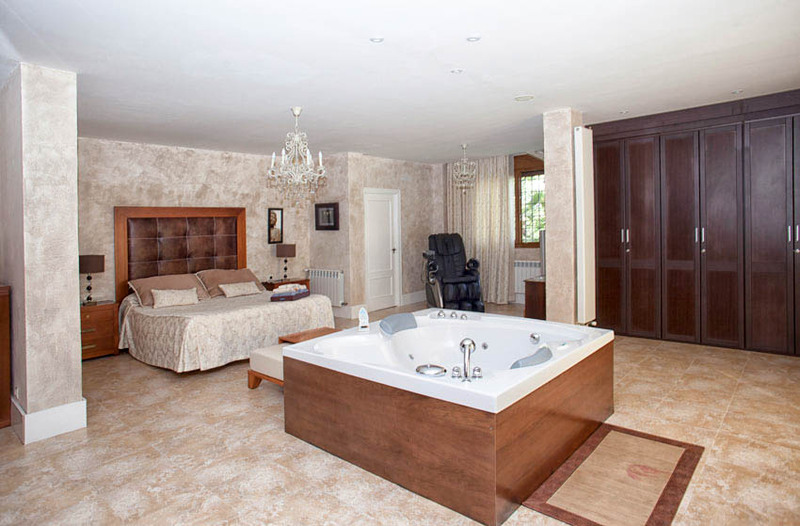 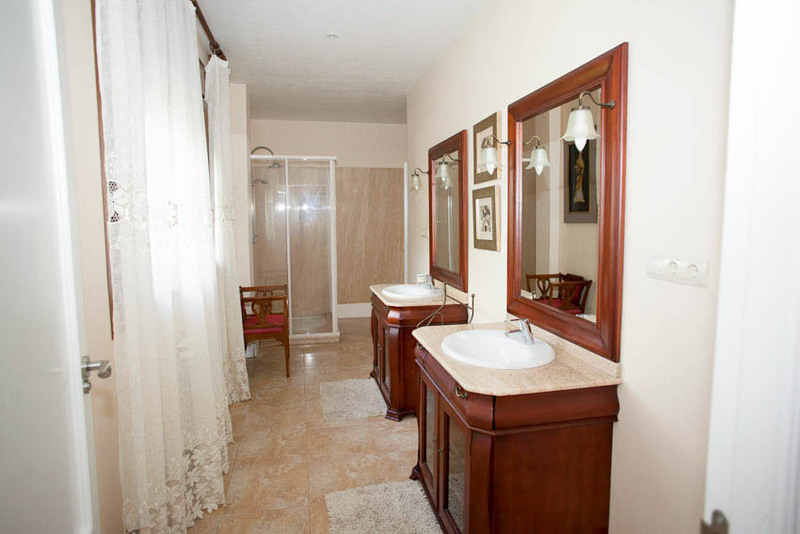 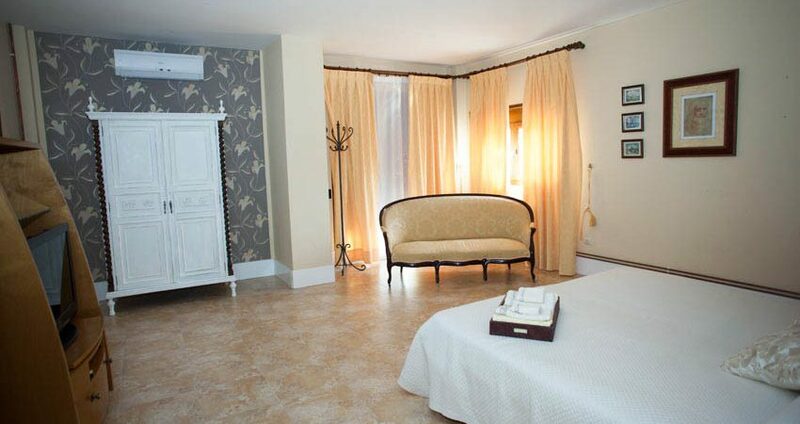 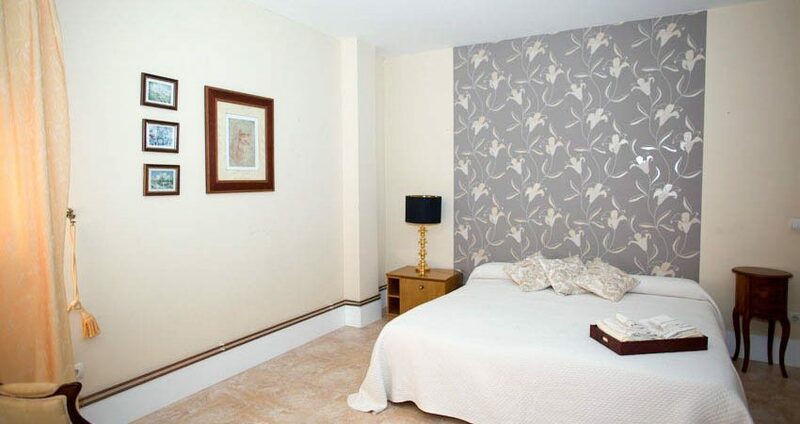 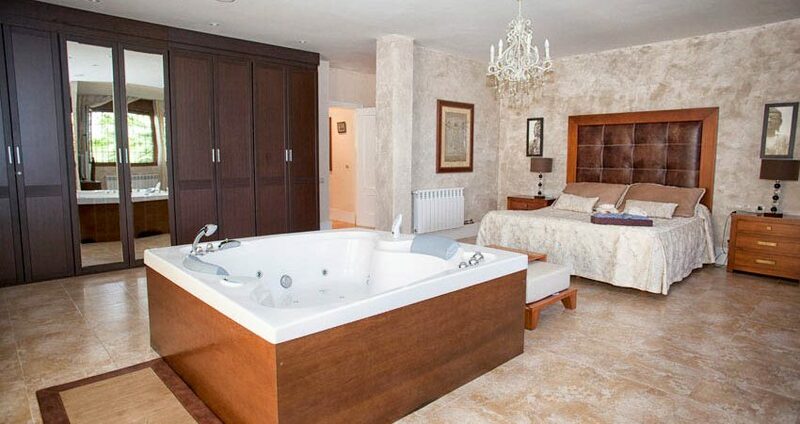 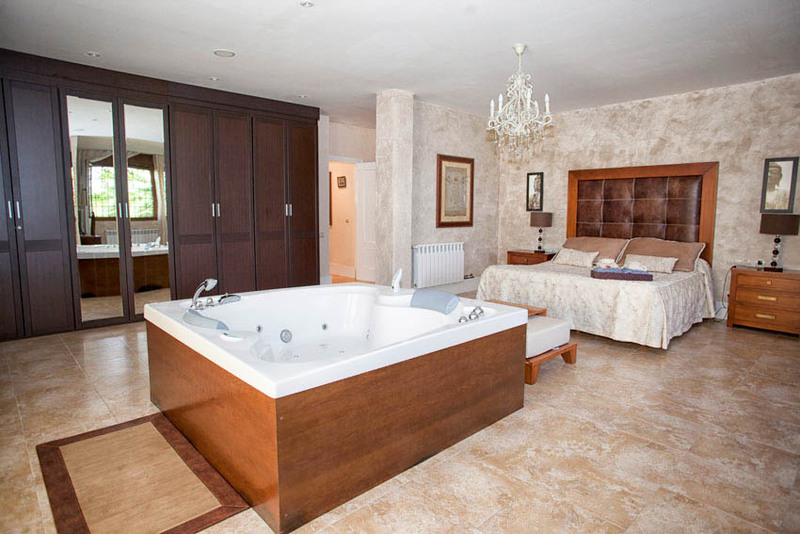 This master bedroom has an en-suite shower room and a jacuzzi bath actually in the bedroom overlooking the gardens. 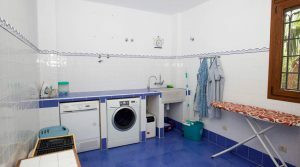 There is a wide range of wardrobe space and with dressing room. 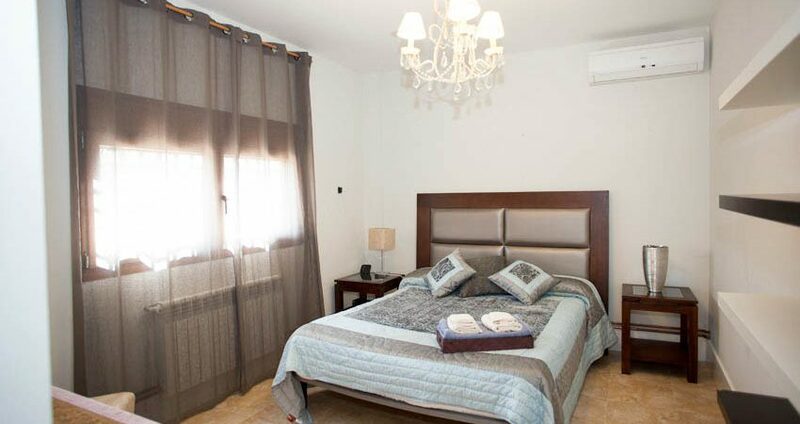 This master bedroom has hot/cold air conditioning and patio doors taking you straight out to the large covered terrace at the rear of this villa and with direct access to the swimming pool. 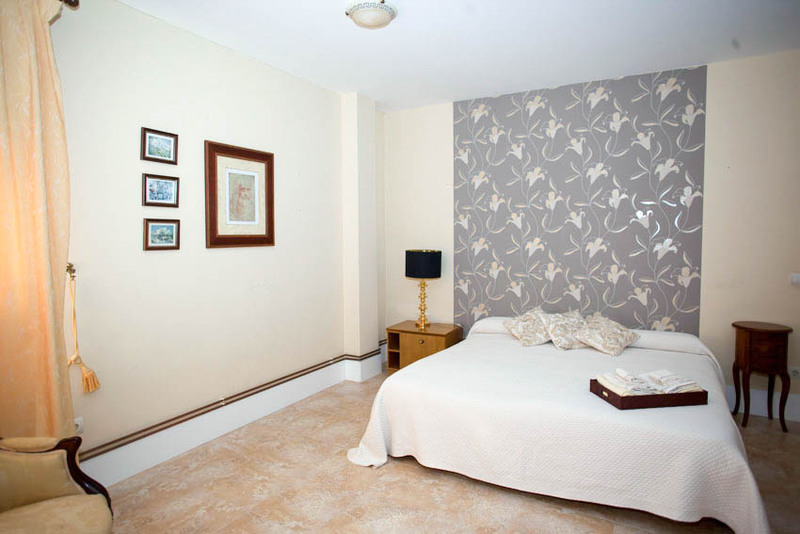 Also on this ground floor, you have another two double bedrooms each with fitted wardrobes and a separate bathroom. 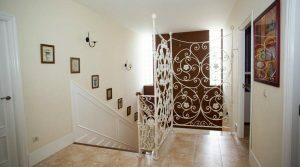 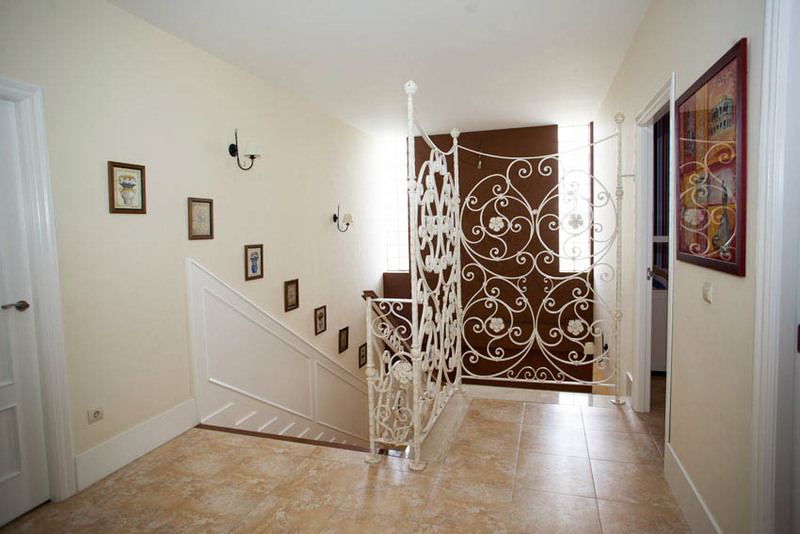 From the central reception hallway, you have a grand marble staircase taking you up to the first floor. 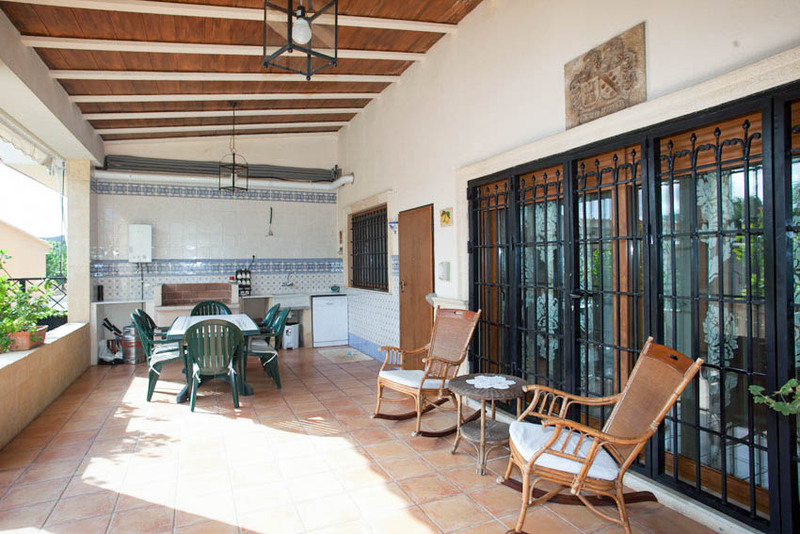 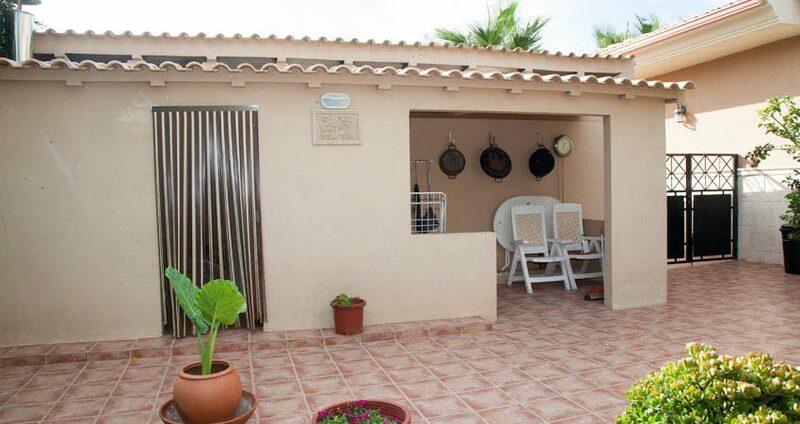 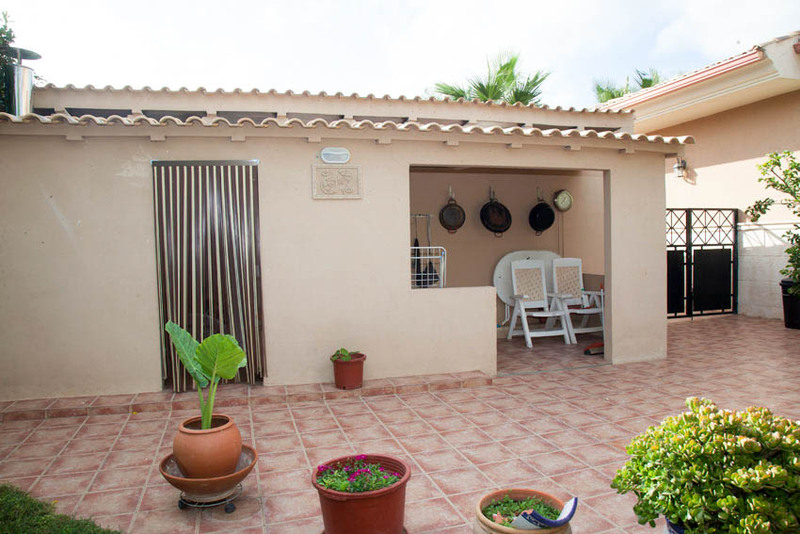 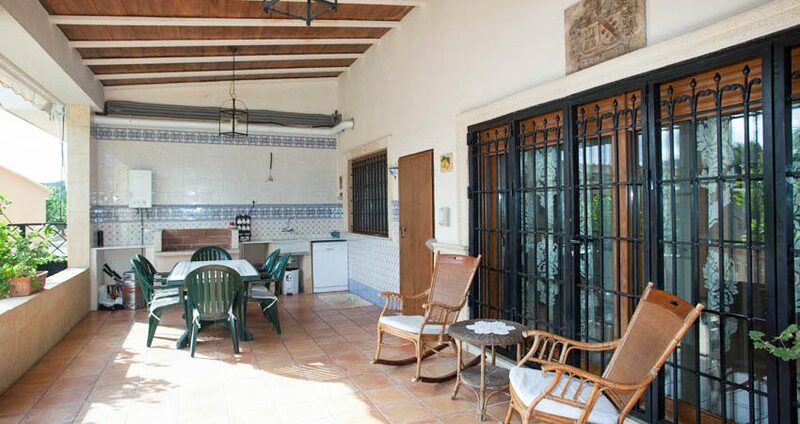 There are two double bedrooms each with hot/cold air conditioning and each with patio doors taking you out to a wonderful 40m² balcony terrace shared between these two rooms. 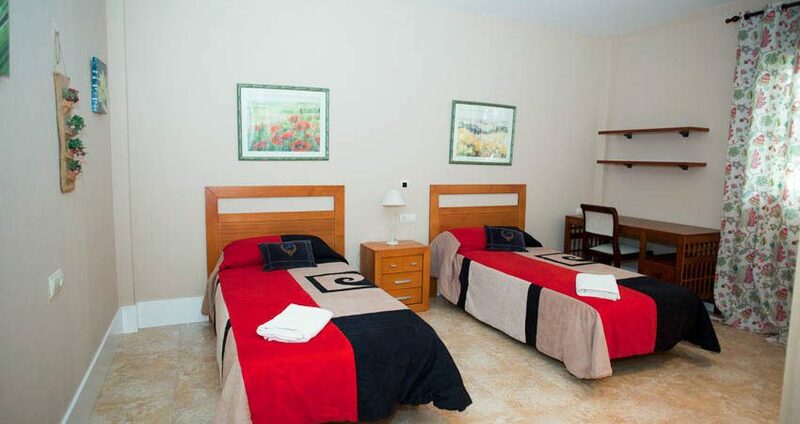 Then you have two further double bedrooms each with hot/cold air conditioning. 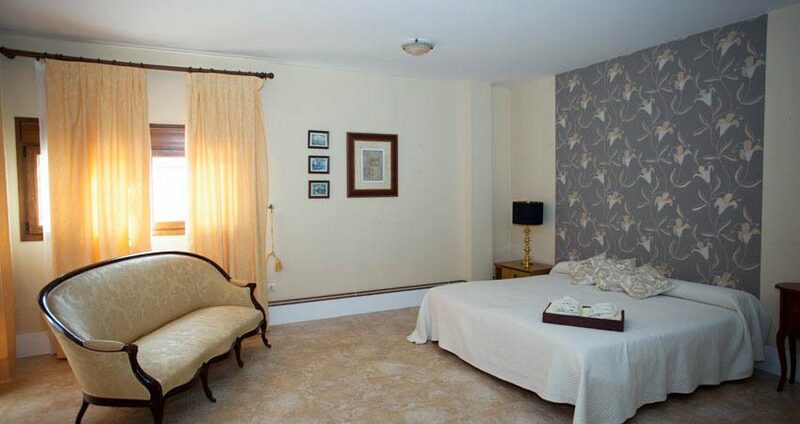 One of these bedrooms has an additional dressing room area and there is also a family bathroom on this first floor. 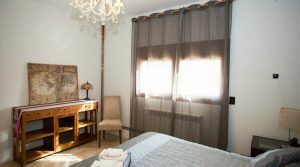 The property has a centrally installed music system, with jacks and control points in each of the rooms, together with a microphone system. 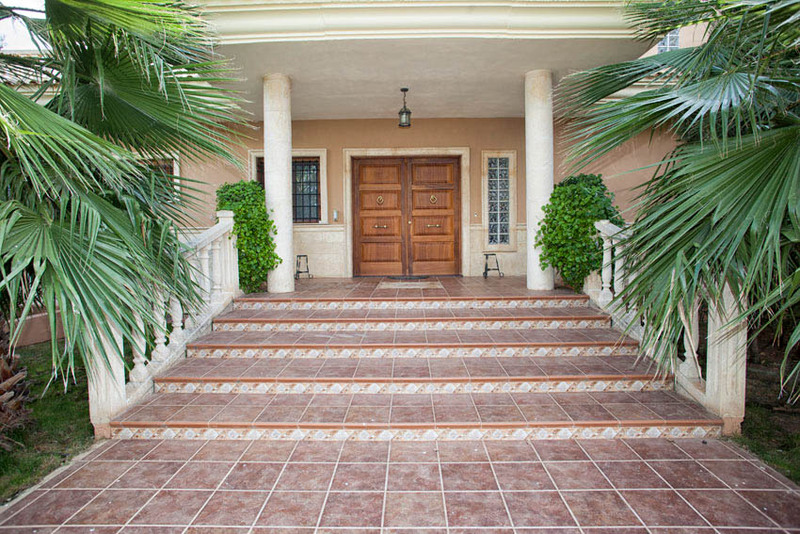 There is a video door entry system and automatic/remote controlled gates at the front entrance. 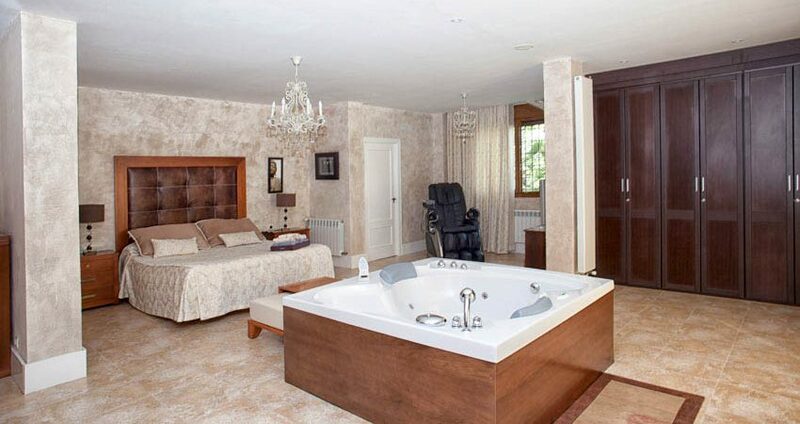 Gas central heating radiators have been fitted in every room and you have high quality double glazed windows fitted throughout together with a high-quality floor and wall tiling as you would expect for such a prestigious property. 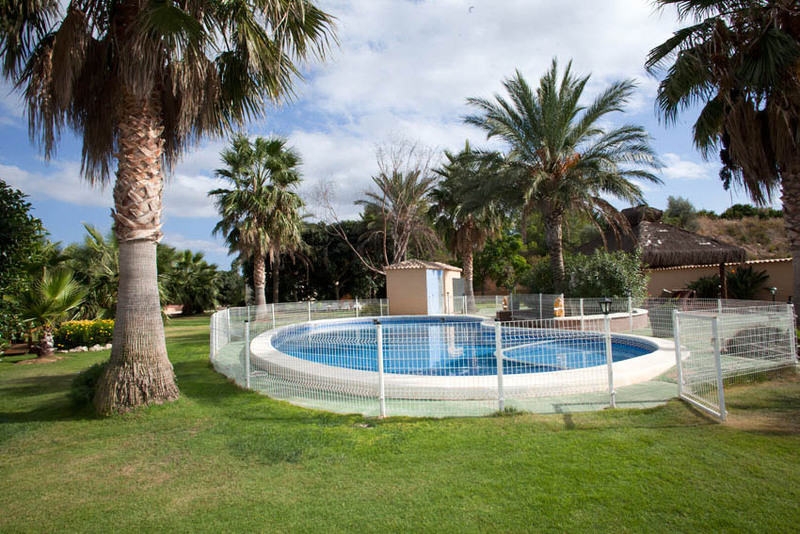 Outside in the gardens, you have 12m x 5m tiled swimming pool complete with lights and a filter and pump system. 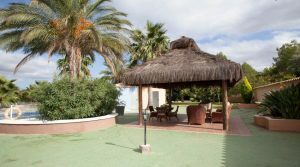 There is a large terrace surrounding the swimming pool and a wonderful covered seating area “Brazilian pergola” adjacent to the swimming pool, with soft furnishings and the perfect place to sit back and relax with a drink. 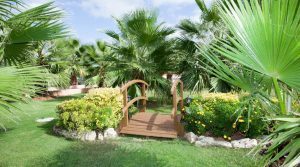 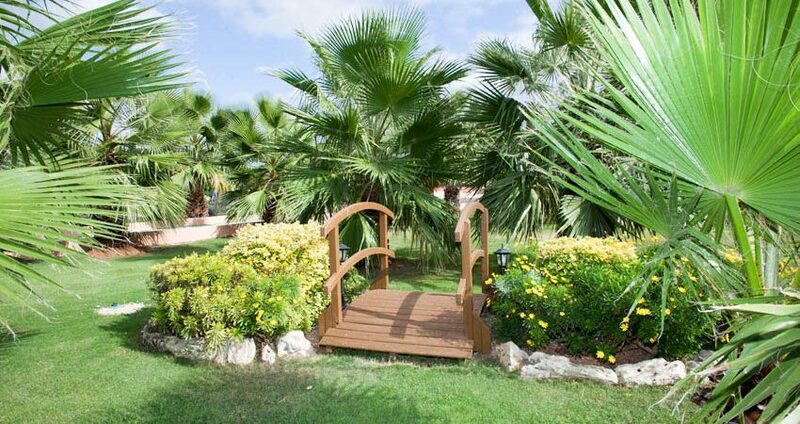 Next to this area, you have the barbecue and the lawned gardens, all with automatic irrigation system bordered by tall palm trees. There is a large separate garage at the end of the additional private driveway that runs along the front on the front of the villa. Excellent use of outside lighting has been made throughout the grounds of this property. 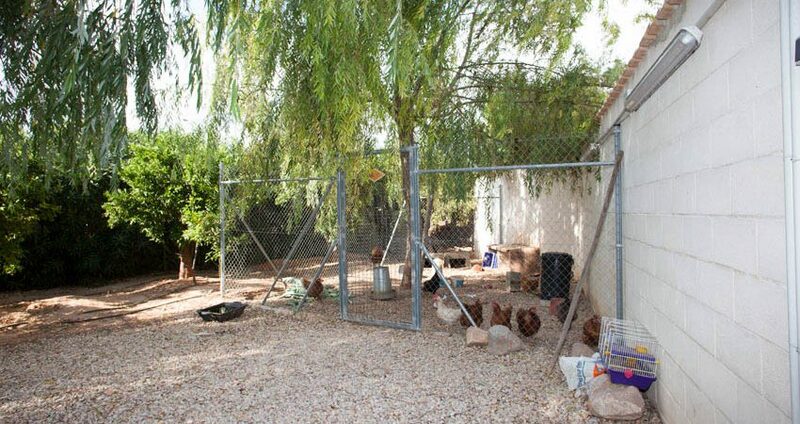 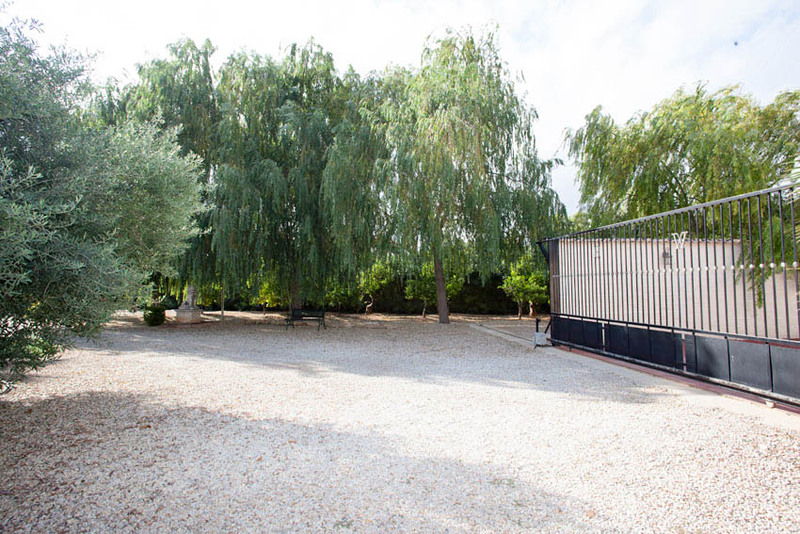 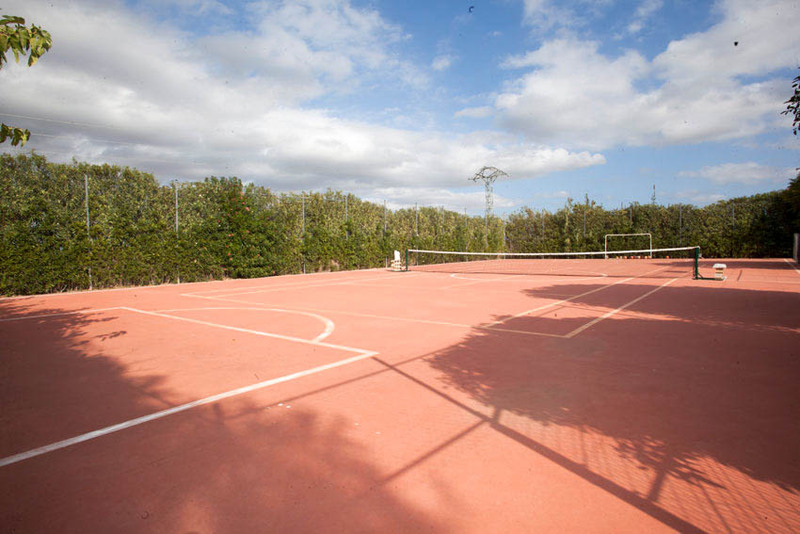 There is a private tennis court/five-a-side football pitch within the grounds and then you have a separate area where you have many fruit trees within its own fenced section. 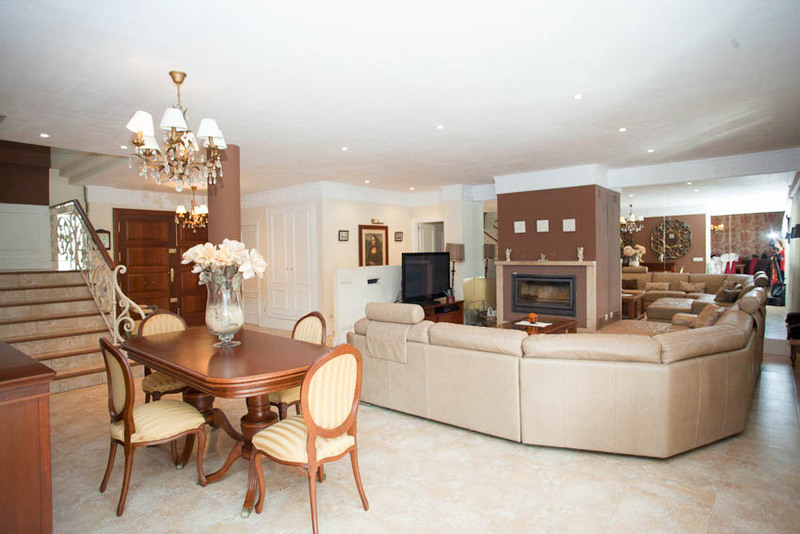 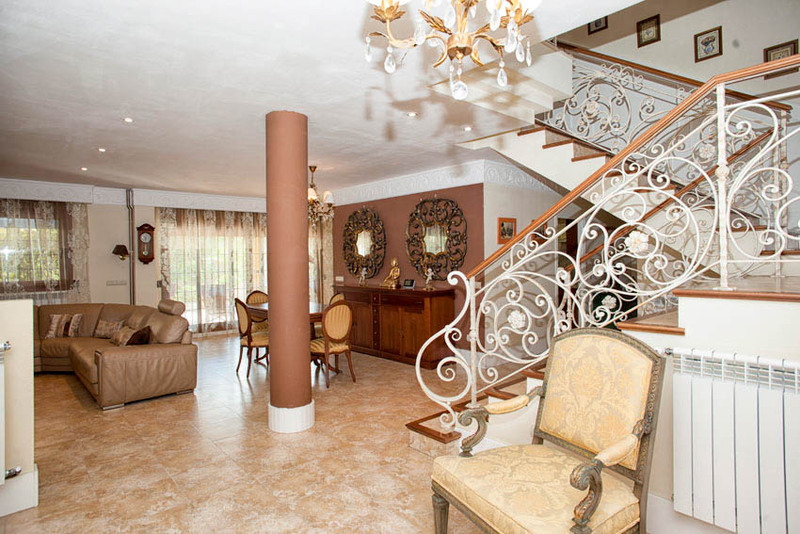 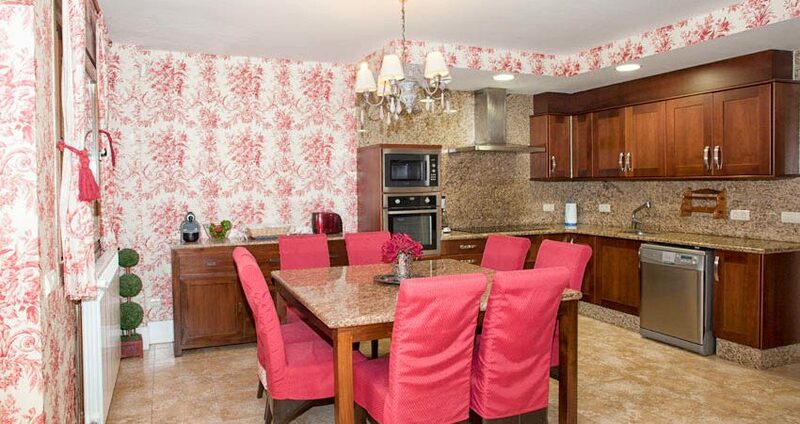 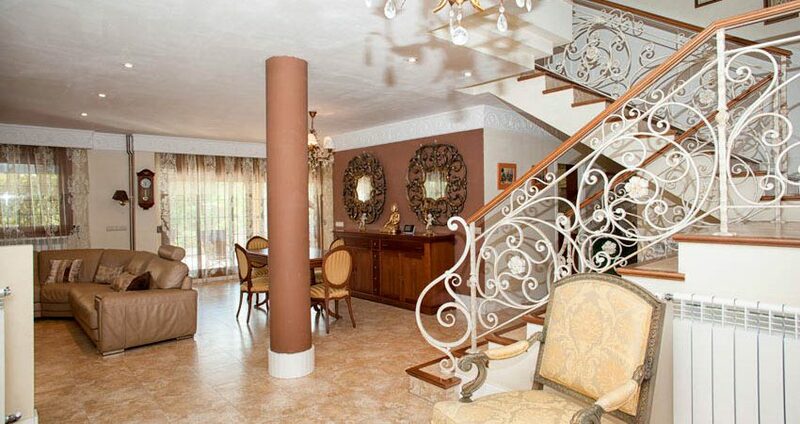 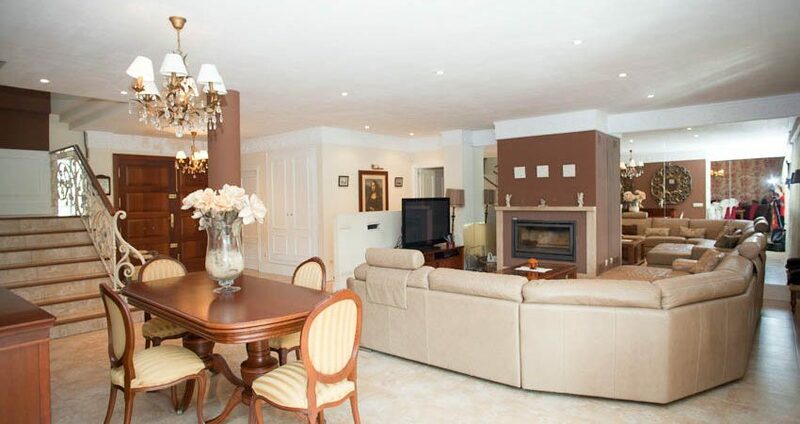 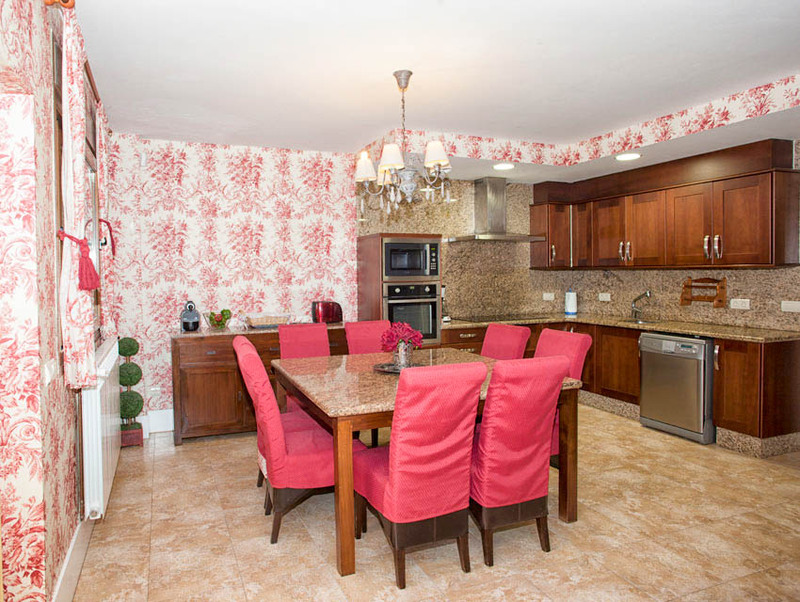 This highly desirable luxury property for sale in Picassent is being sold fully furnished.